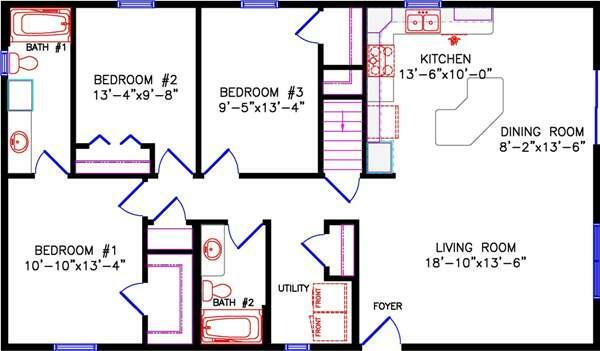 These plans fit your selection criteria. 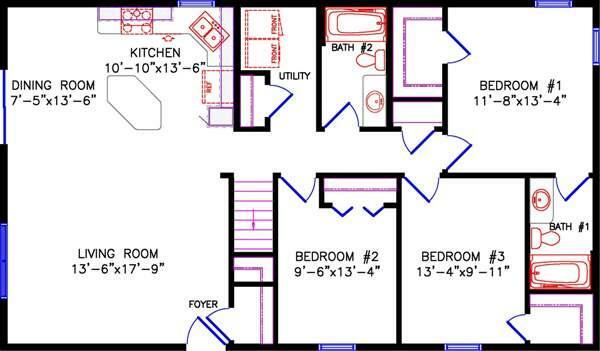 Click the " " button below each floor plan to save it to your profile or to send to your local builder for pricing. 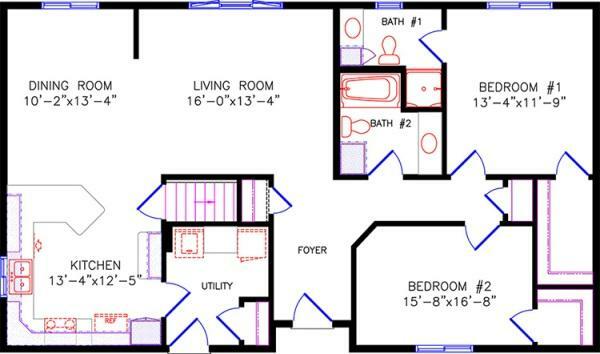 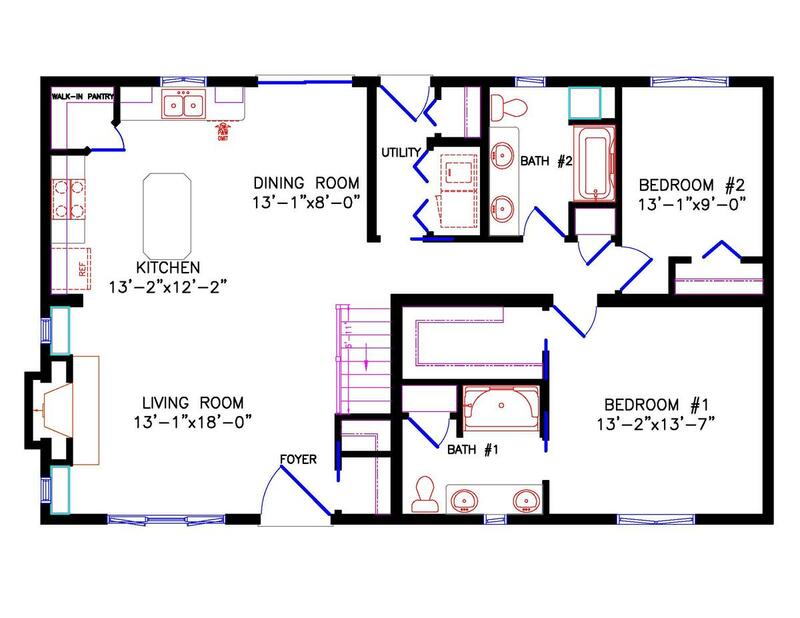 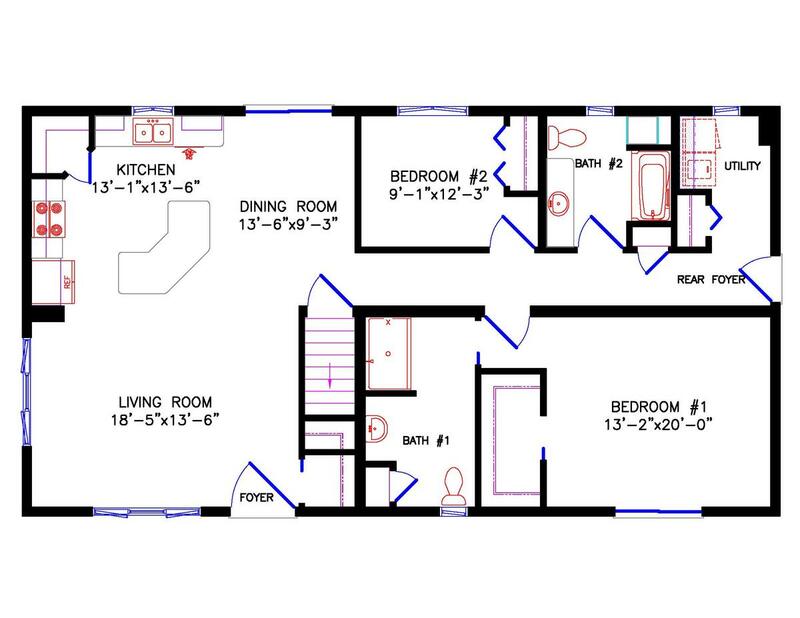 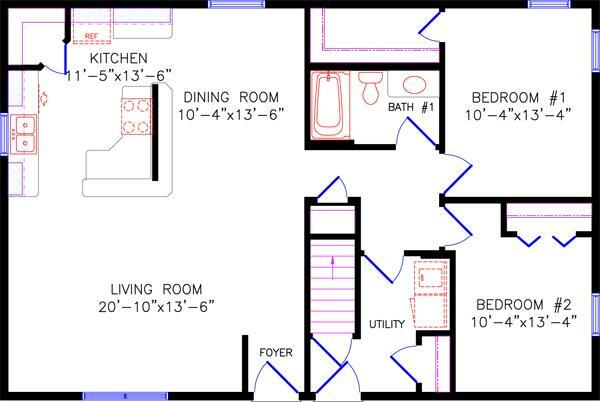 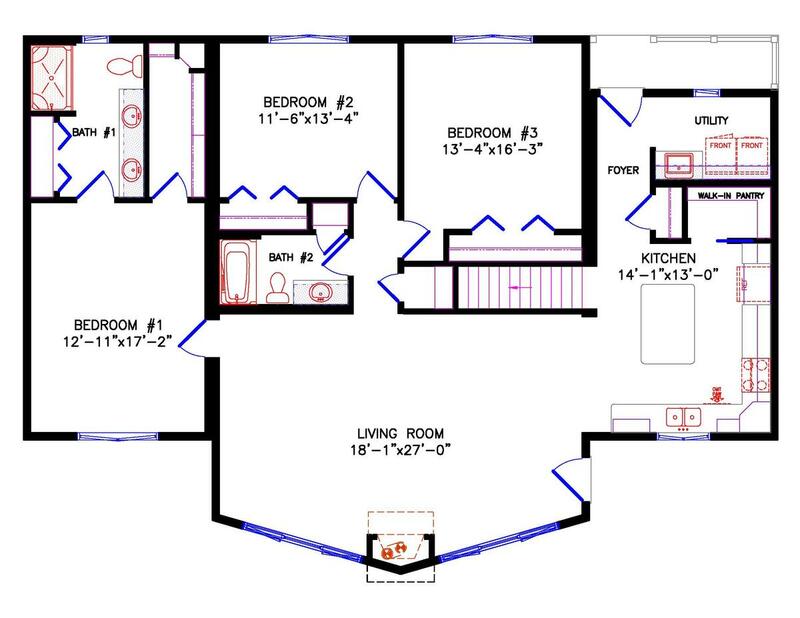 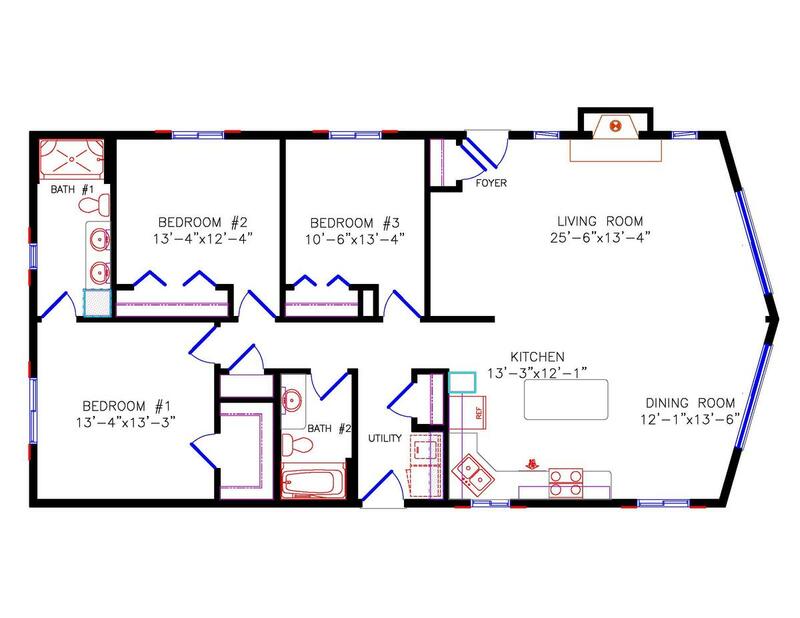 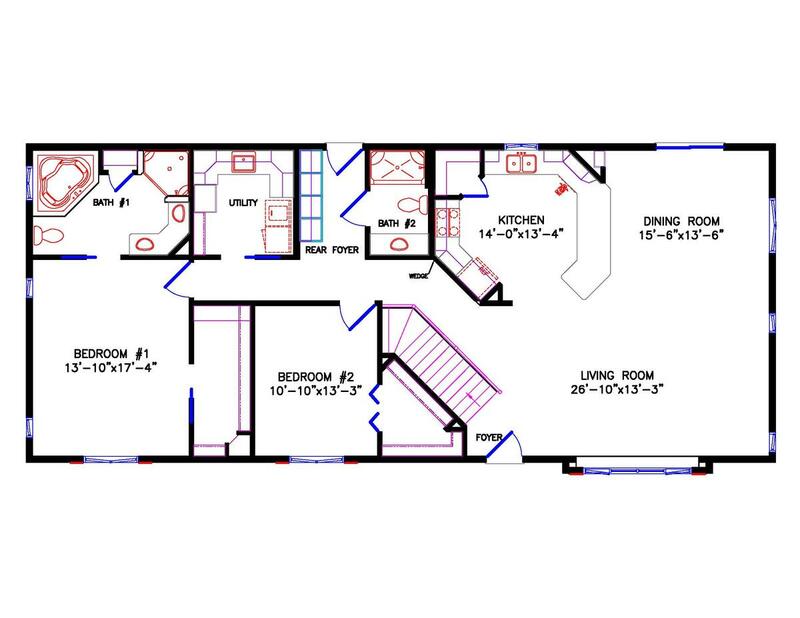 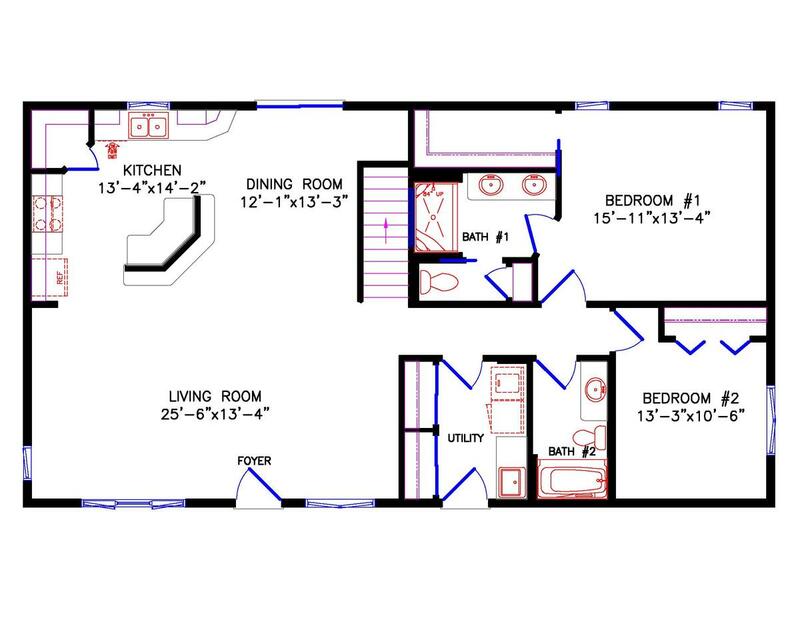 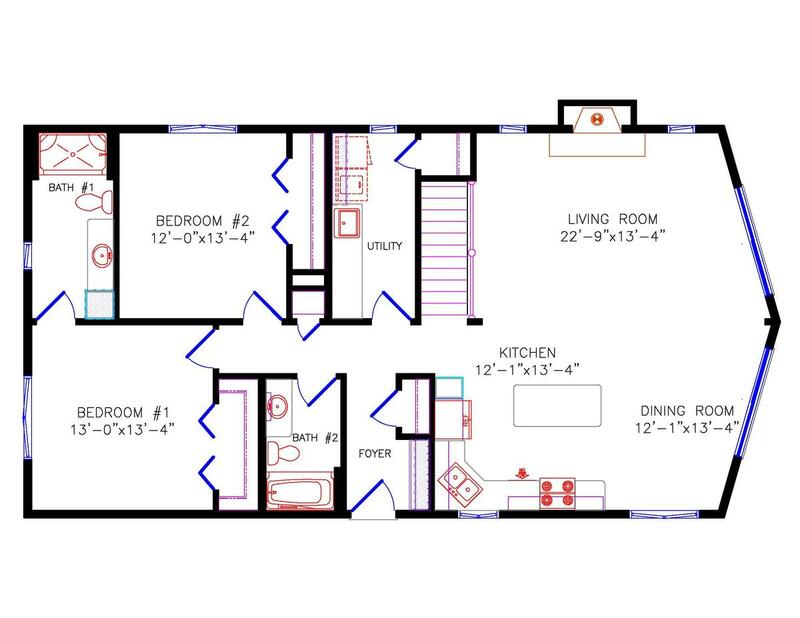 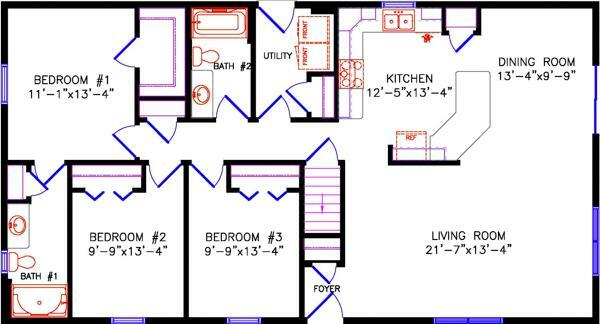 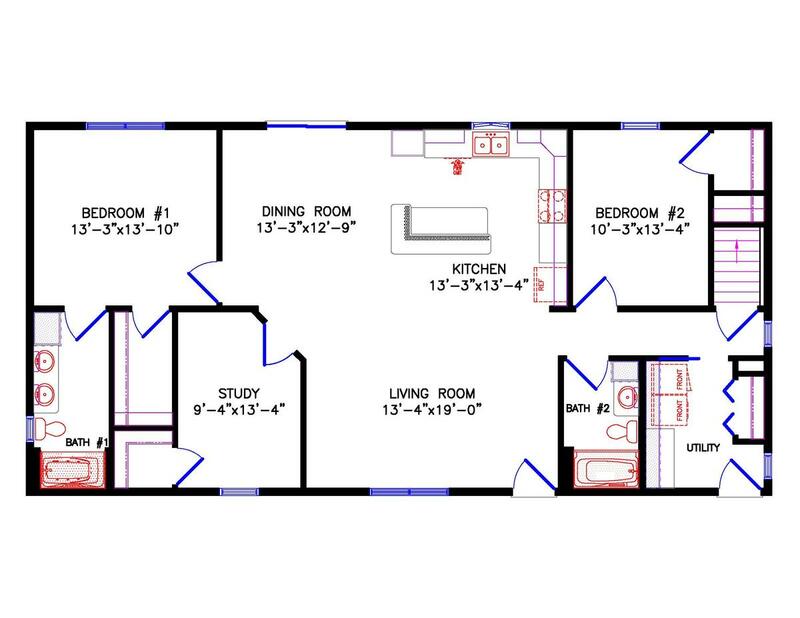 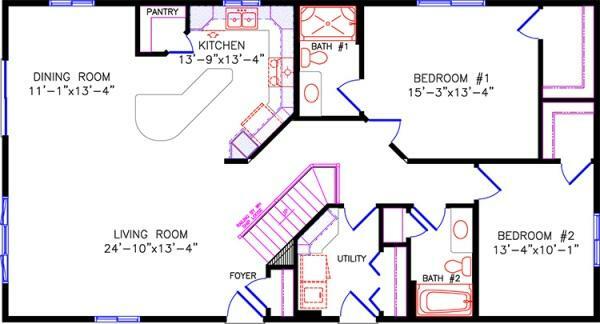 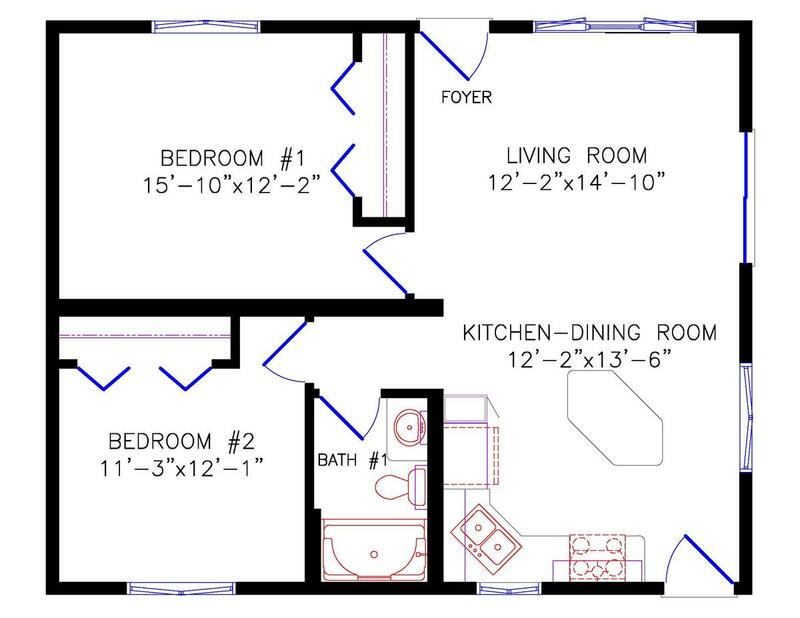 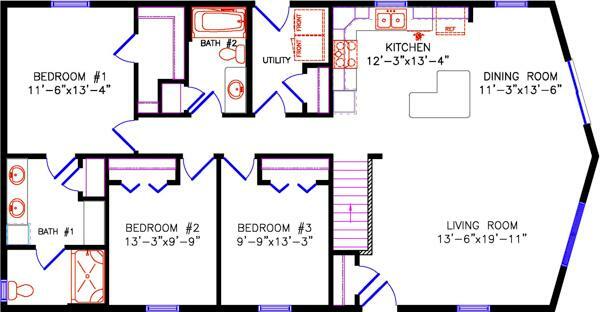 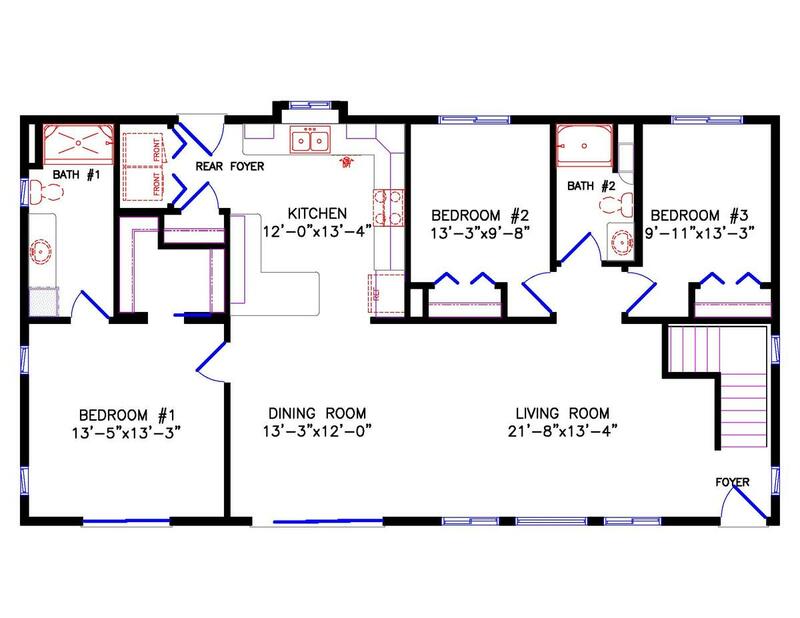 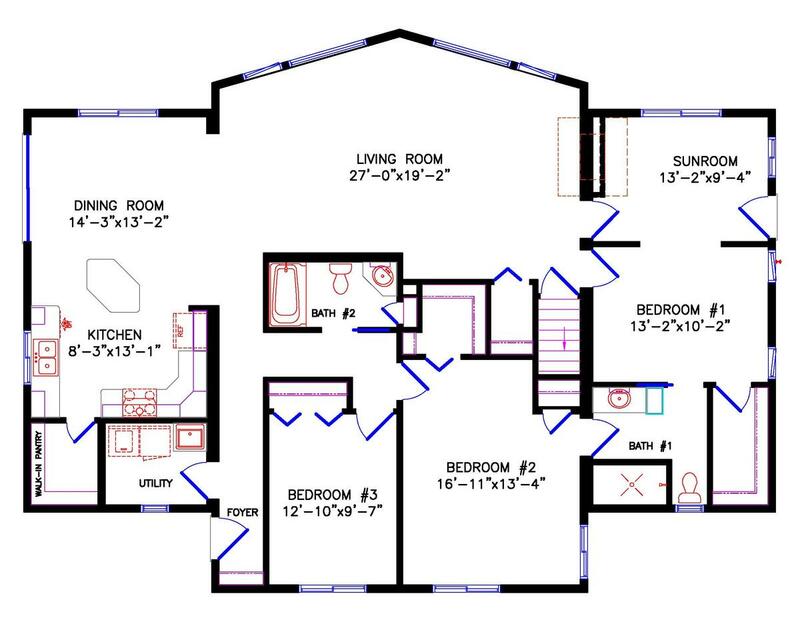 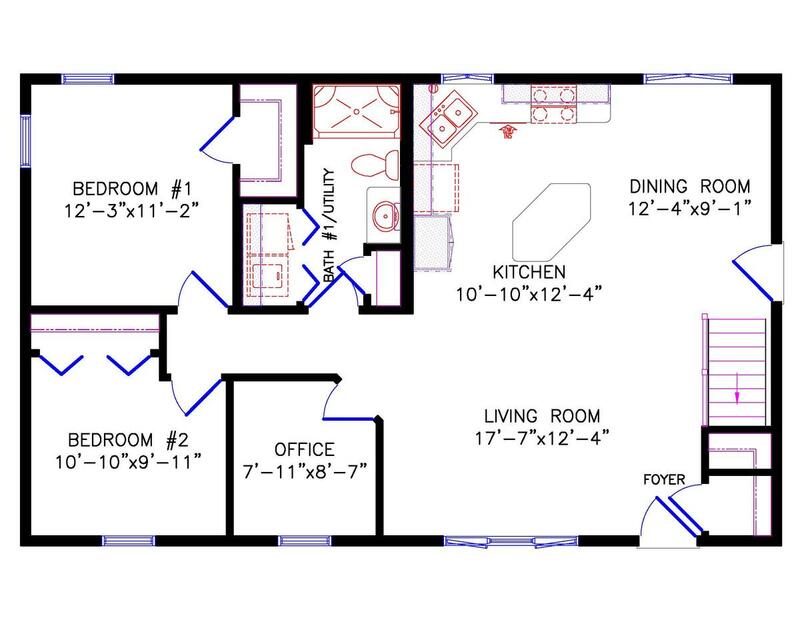 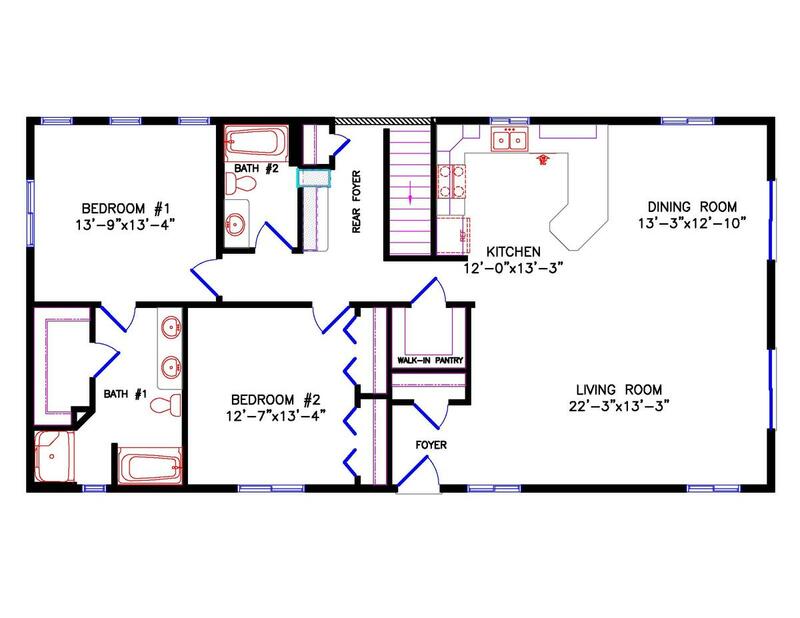 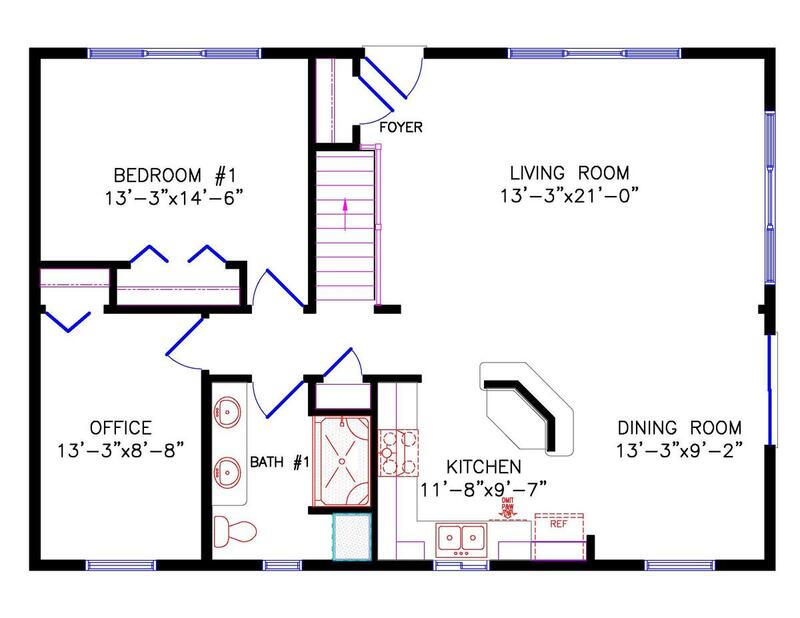 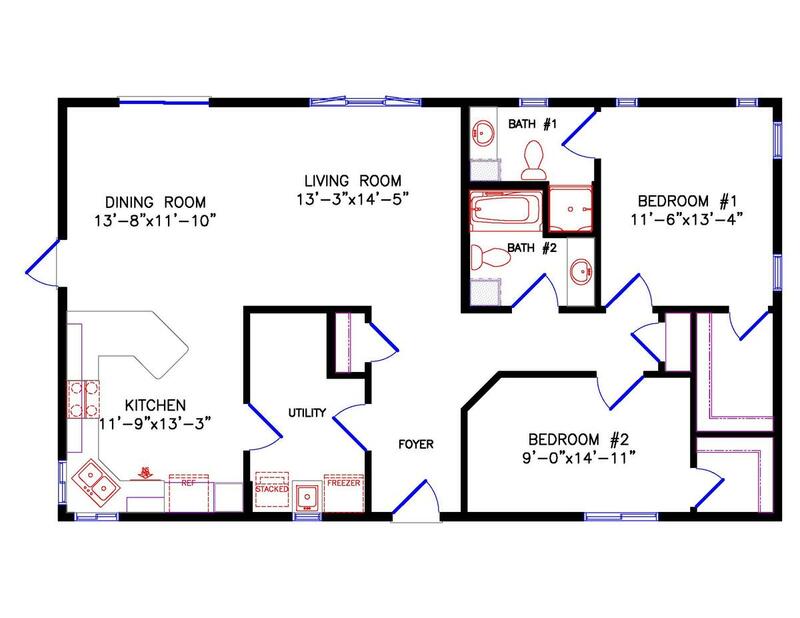 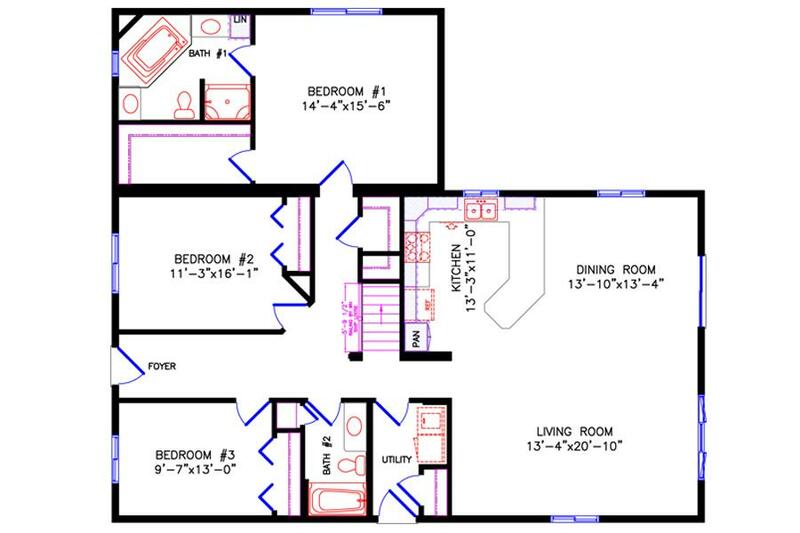 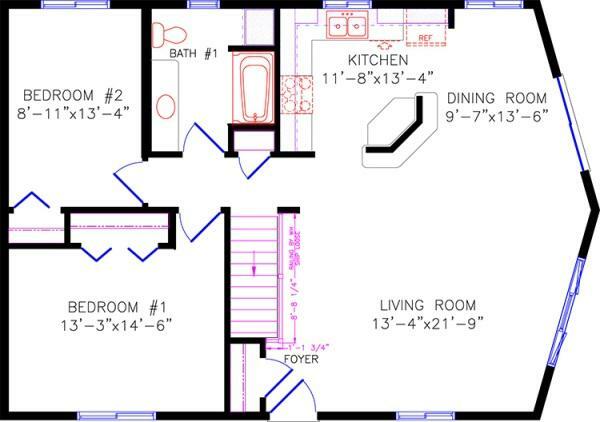 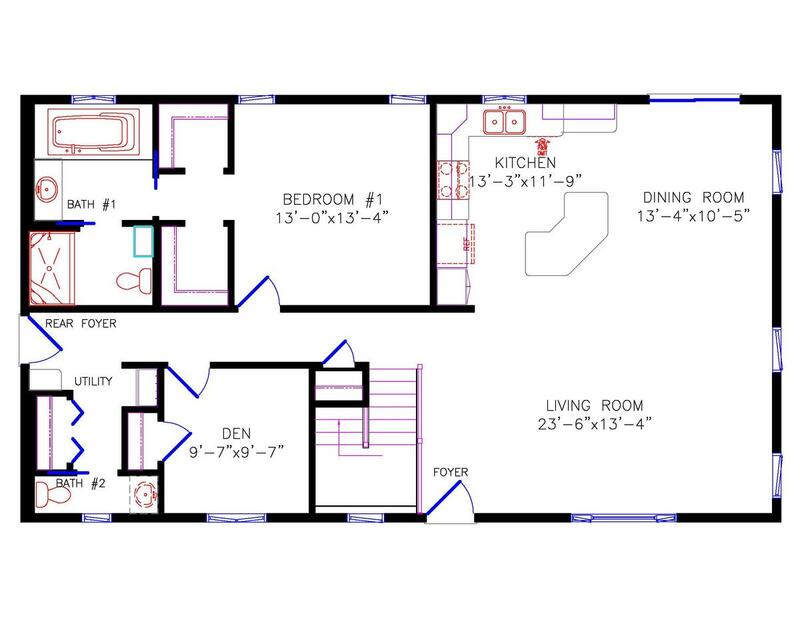 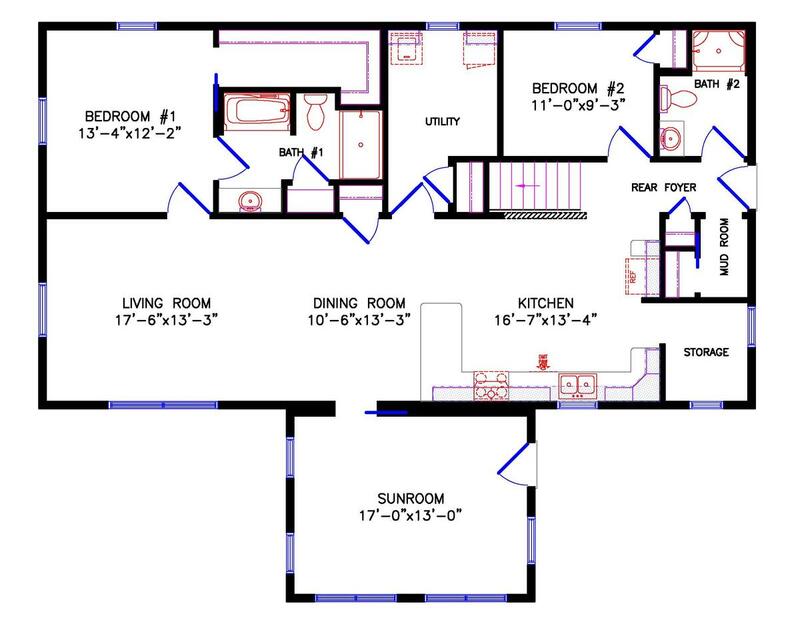 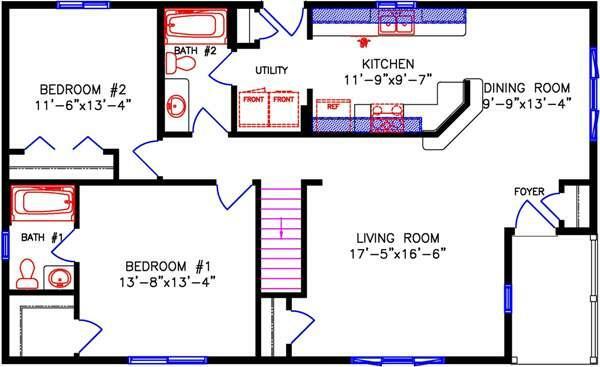 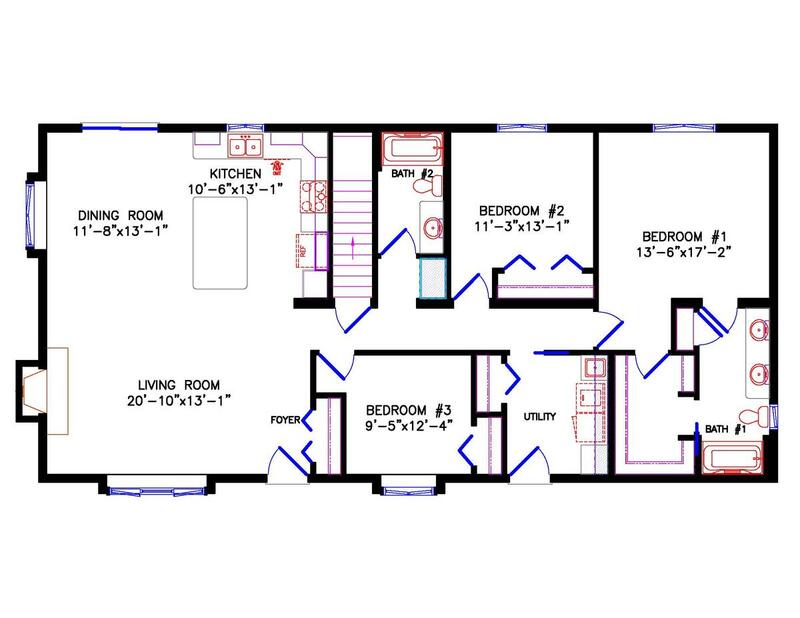 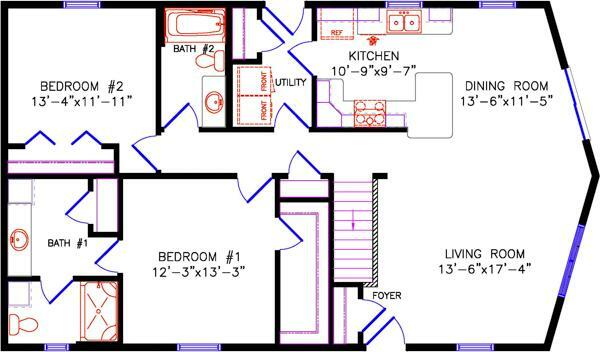 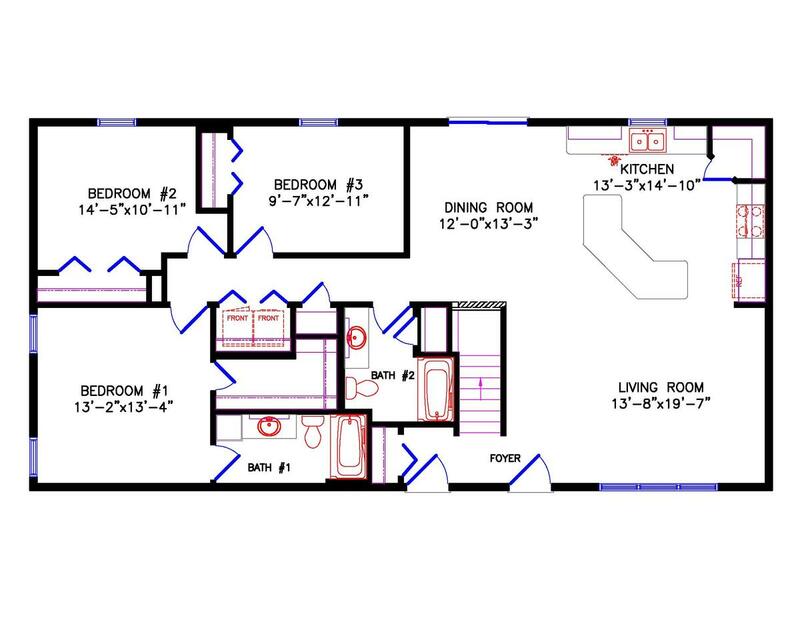 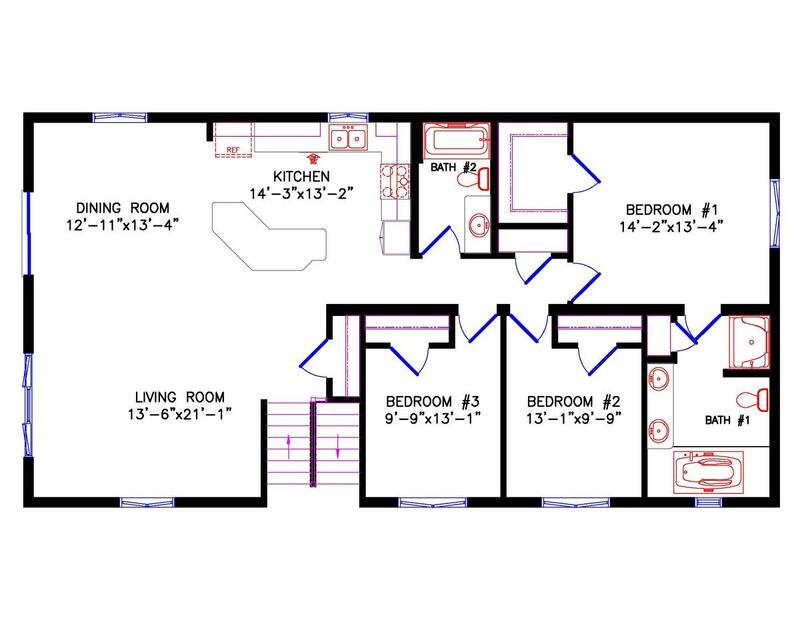 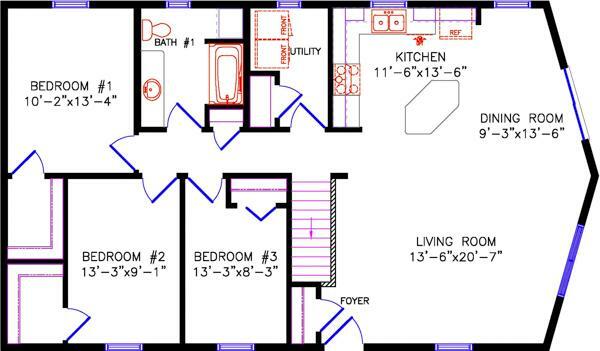 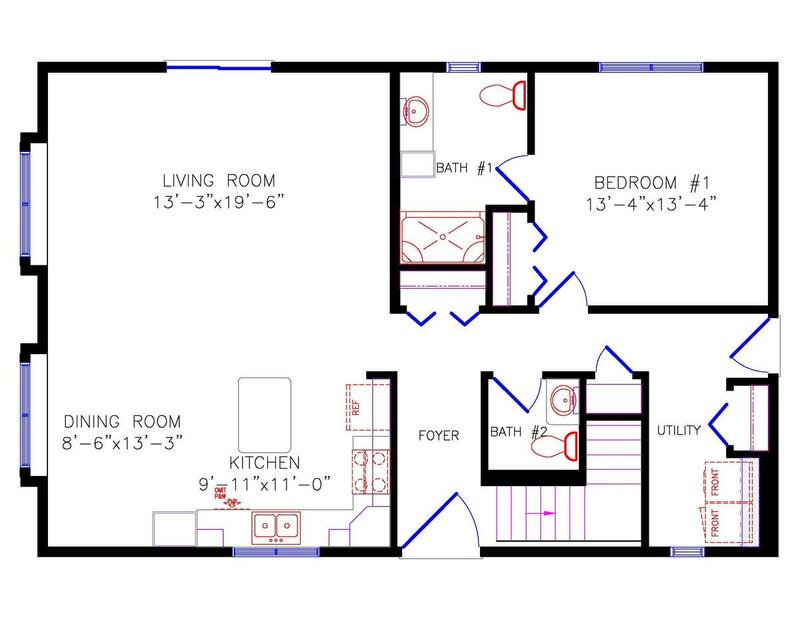 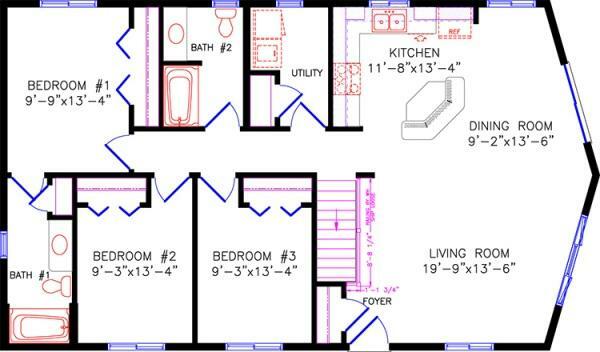 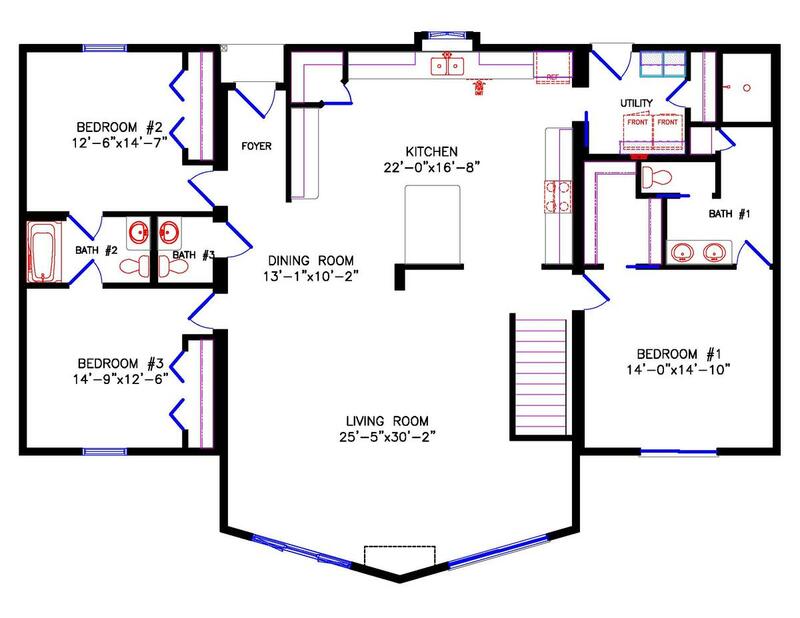 This three bedroom cottage is functionally laid out. 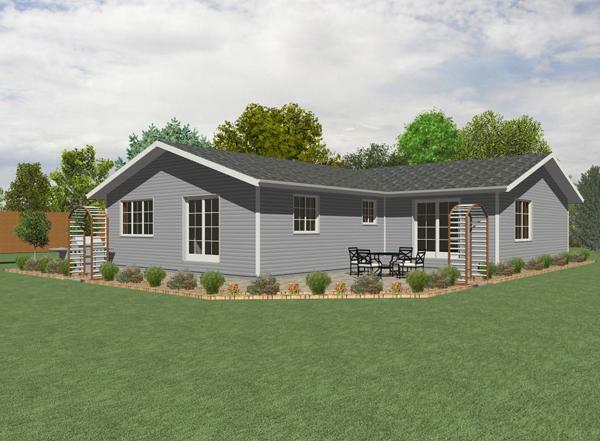 The front of the home is composed of a wide-open living room, kitchen and dining room complete with a snack bar island great for entertaining. 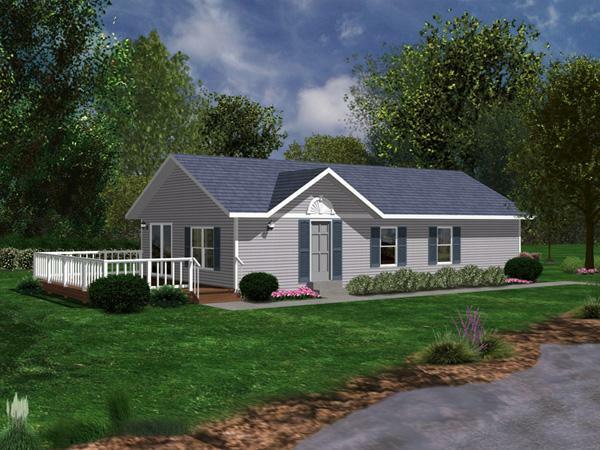 The rear of the home contains a quaint master bedroom with a large walk-in closet and adjoining private bathroom. 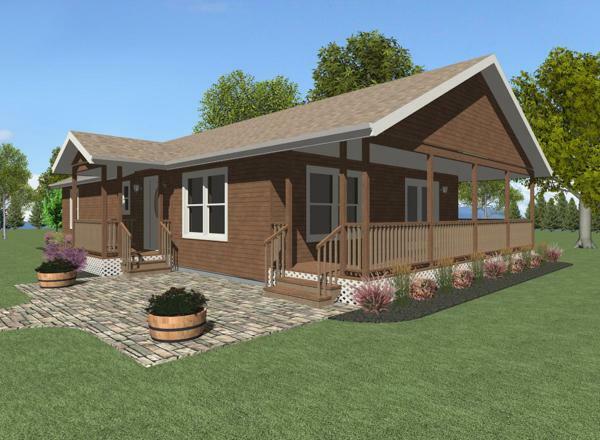 Other features of this wonderful cottage include a utility room and two bedrooms with abundant closet space. 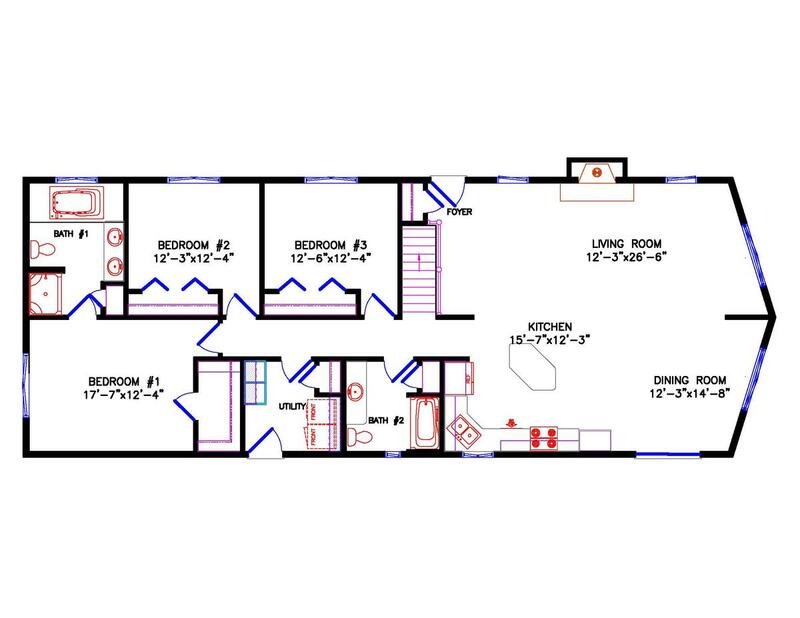 This three bedroom cottage is functionally laid out. 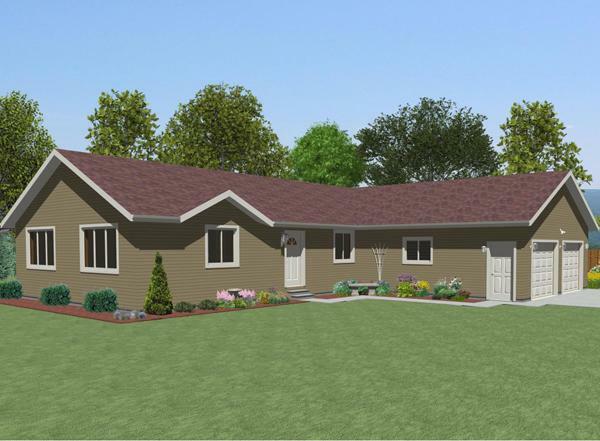 The front of the home is composed of a wide open living room, kitchen and dining room complete with a snack bar island great for entertaining. 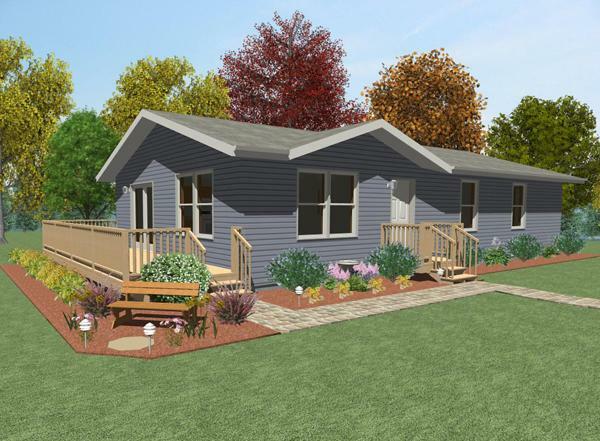 The rear of the home contains a quaint master bedroom with a large walk-in closet and adjoining private bathroom. 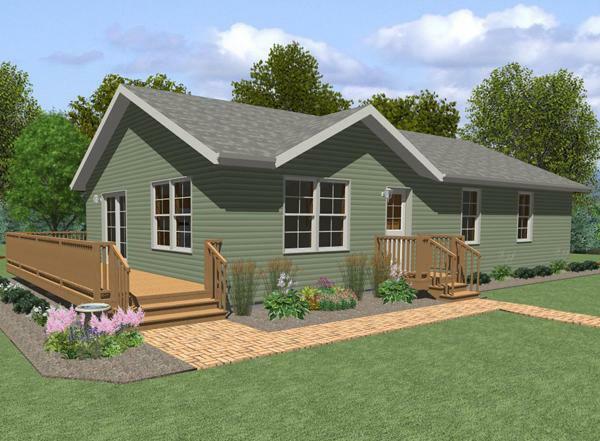 Other features of this wonderful cottage include a utility room and two bedrooms with abundant closet space. 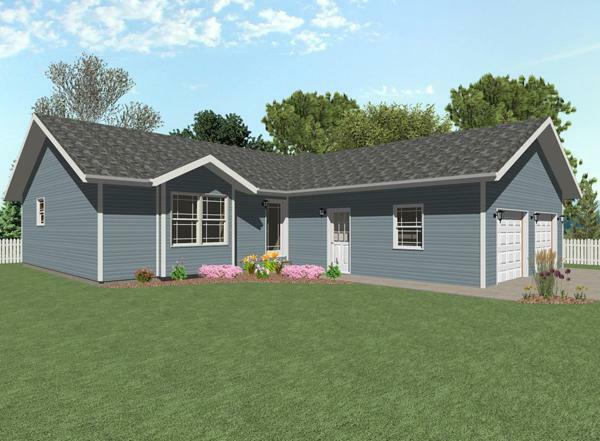 This two bedroom Northwood home would be perfect in any setting. 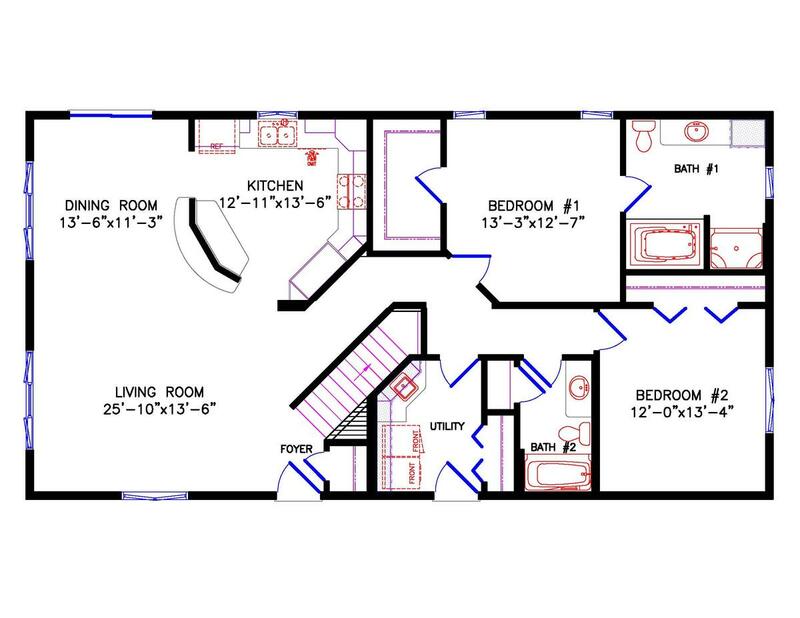 The expansive kitchen boasts a walk-in pantry and a large island with a raised snack bar that is wide open to the living area. 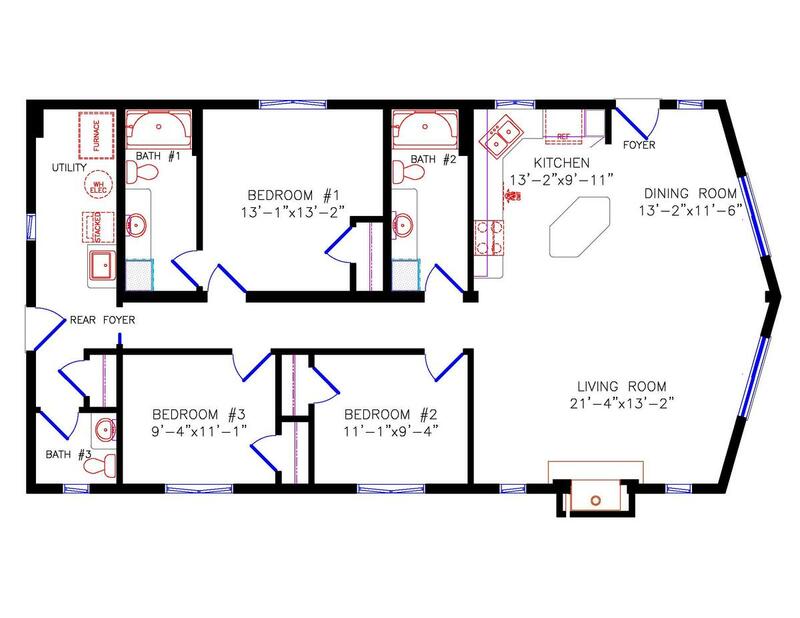 The main bath is centrally located with a large linen closet nearby. 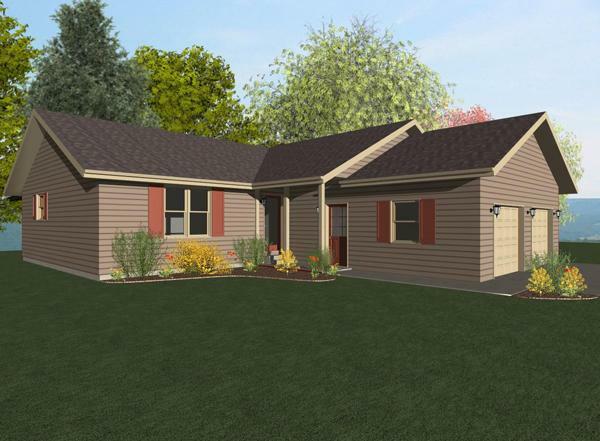 With a garage attached to the front of this home it has easy access to the basement with the service door located in line with the stairway. 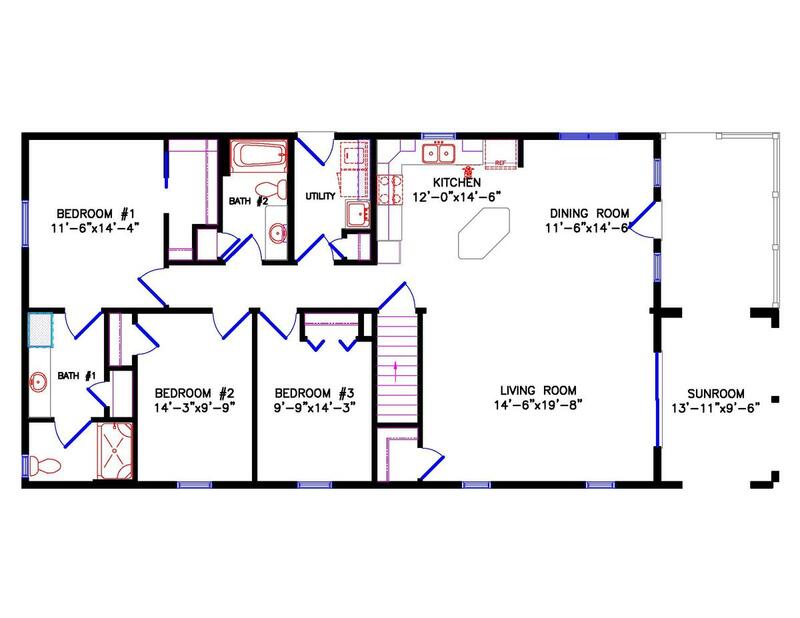 A main floor laundry room makes this home sure to please. 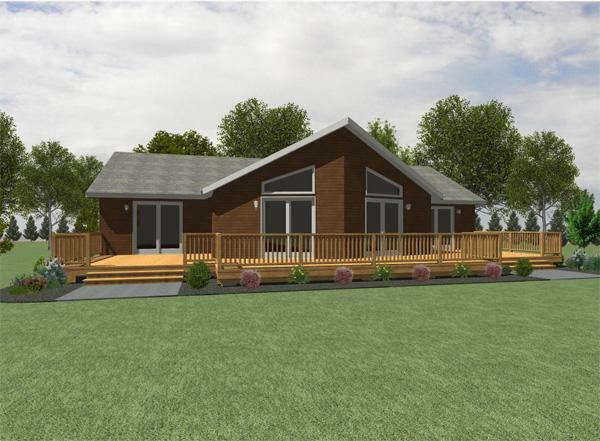 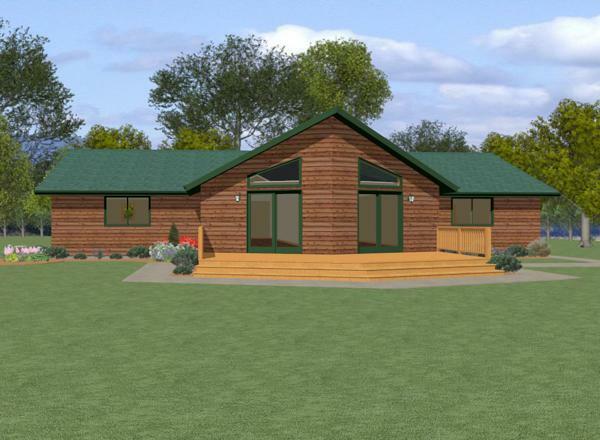 The contemporary design of the Northwood provides the ideal setting for your lifestyle. 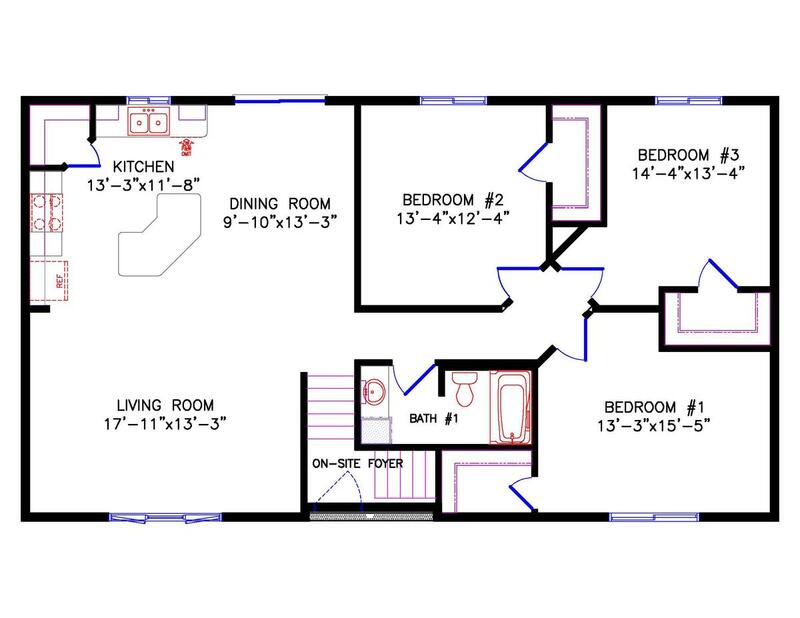 It's open, it's spacious, and it will bring on the compliments. 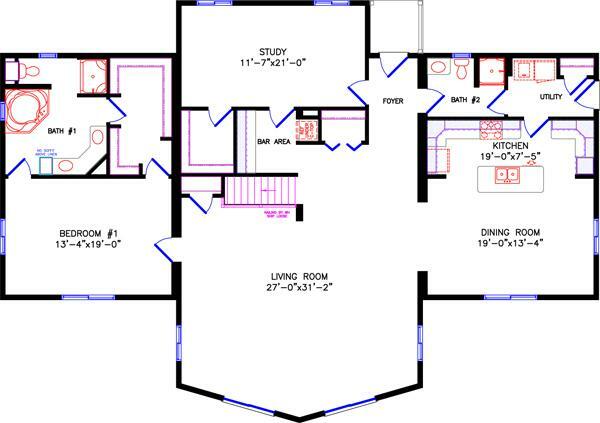 Consider the option of a handsome vaulted ceiling to top off the living, dining, and kitchen areas. 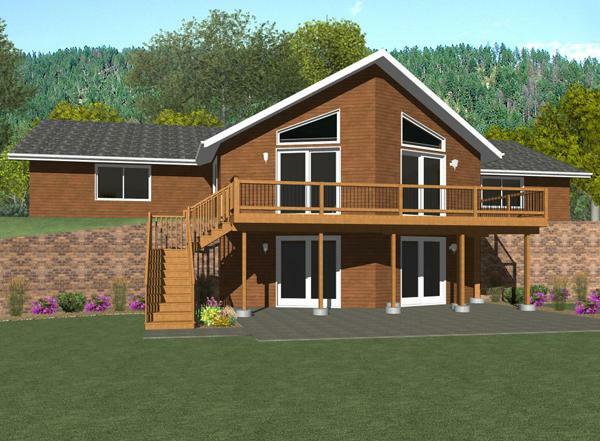 Patio doors and windows let light pour in while opening out to your favorite view. 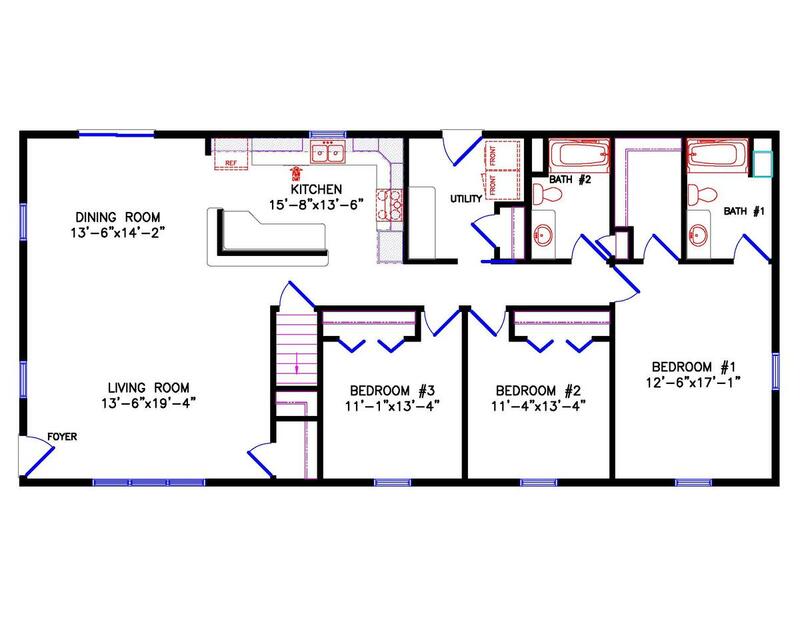 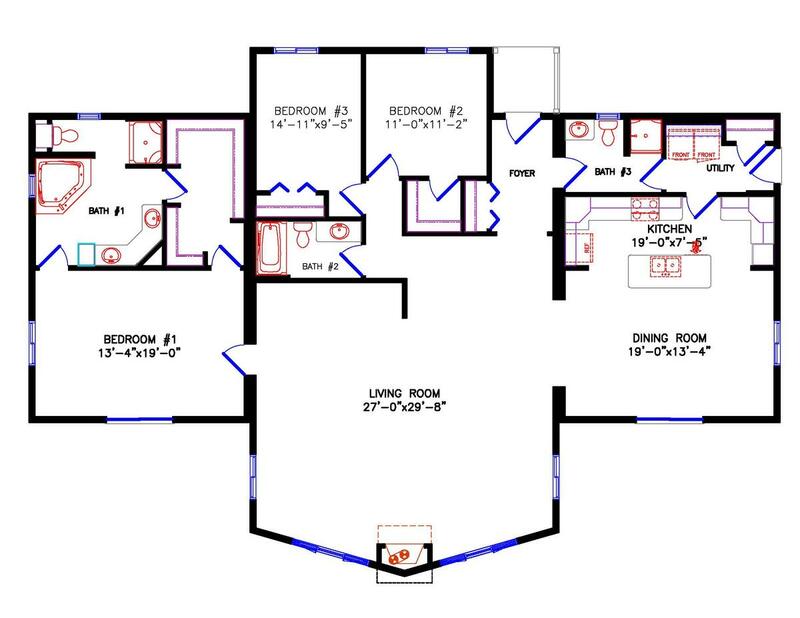 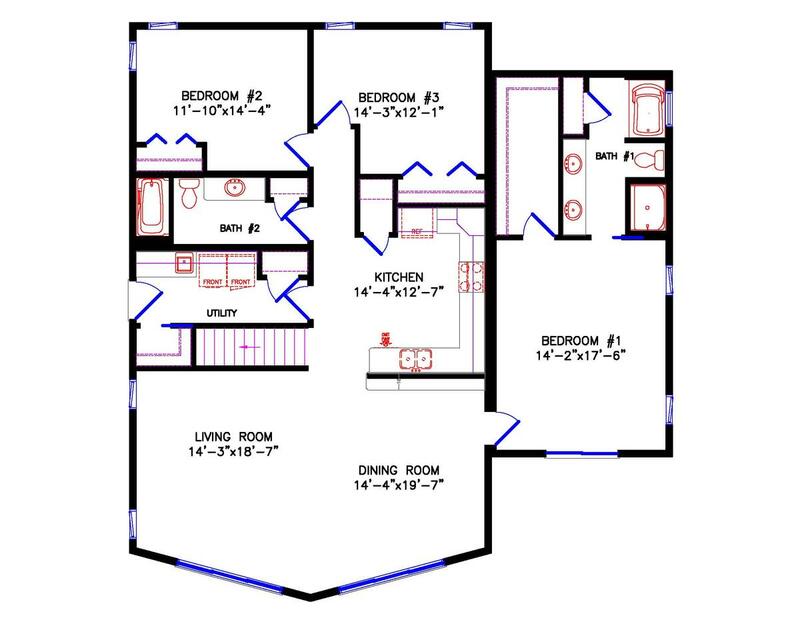 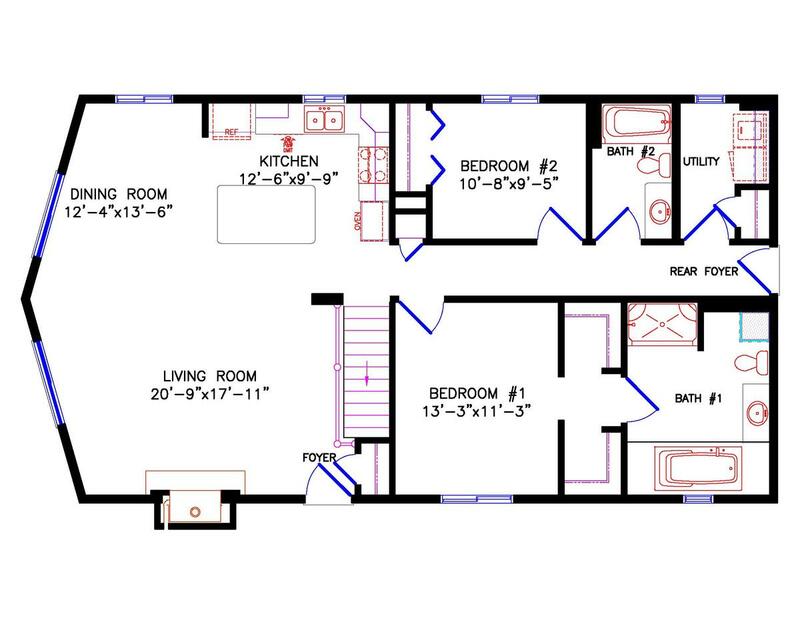 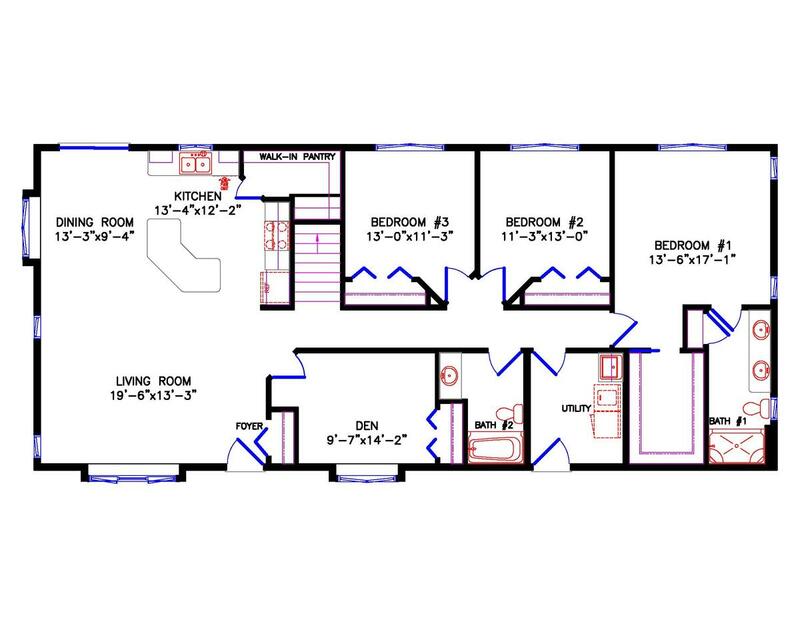 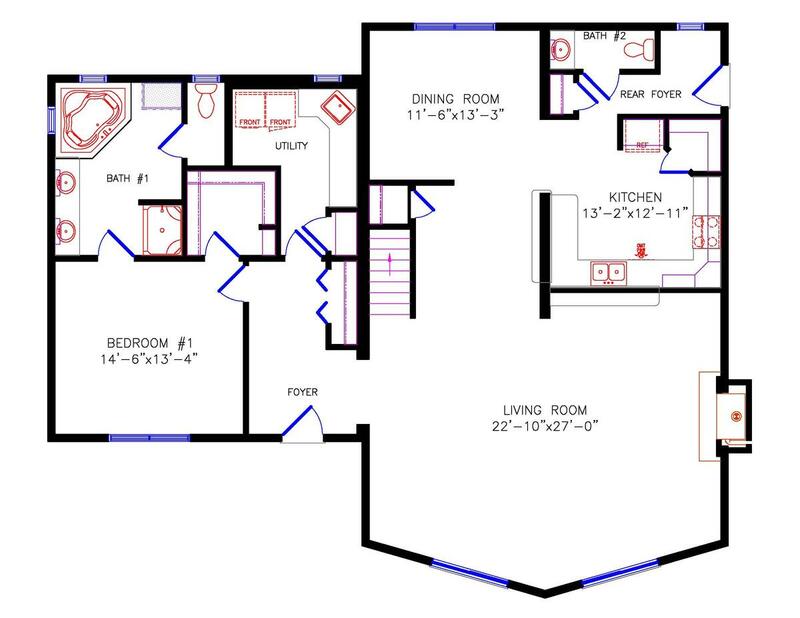 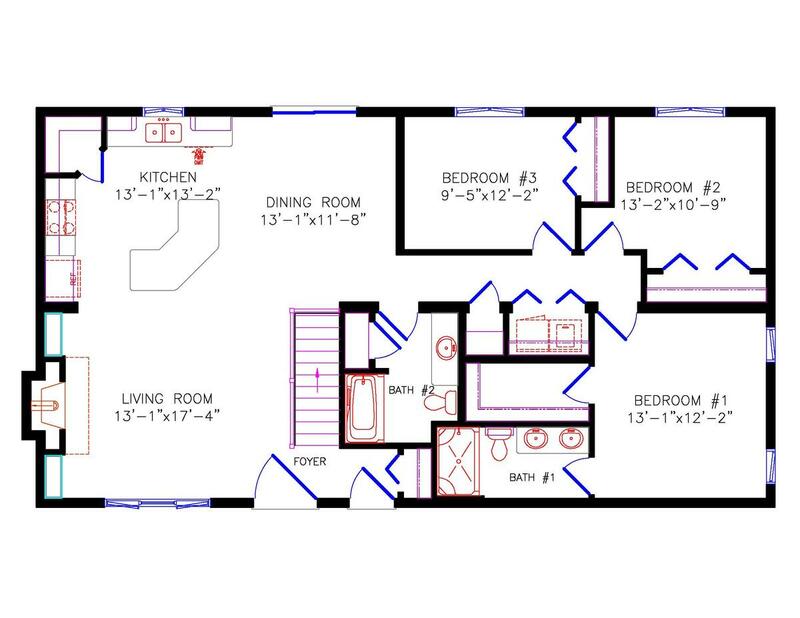 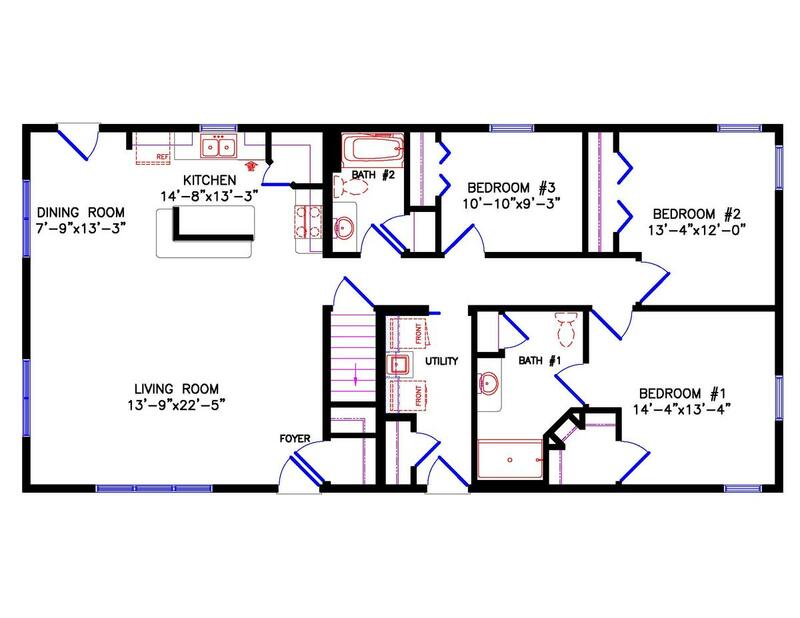 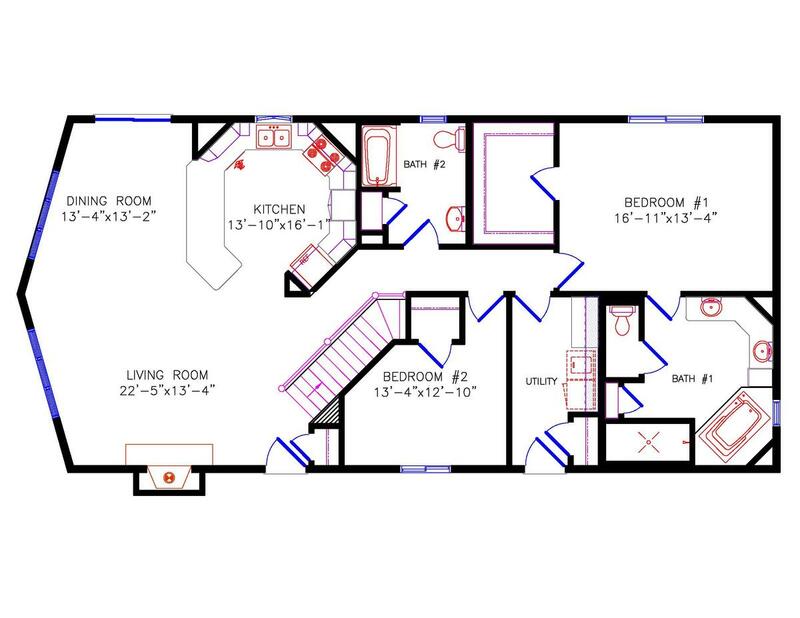 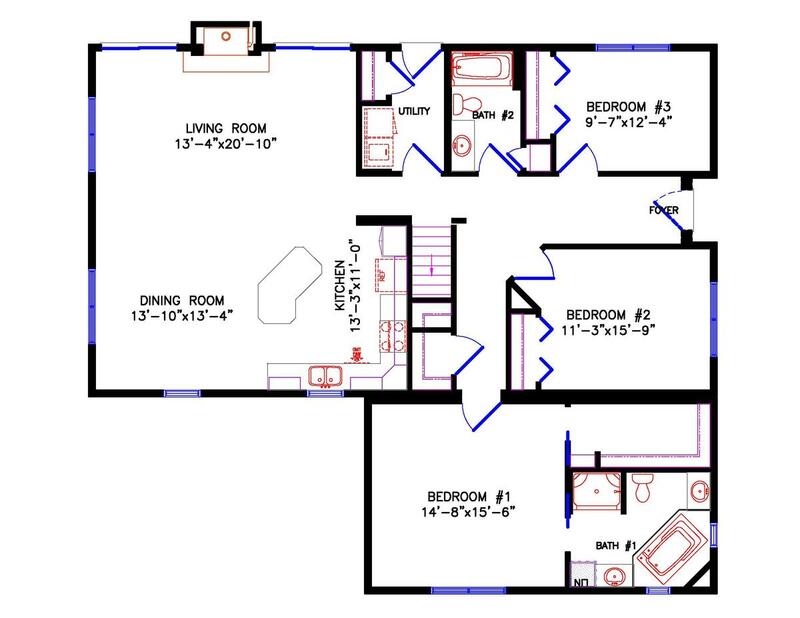 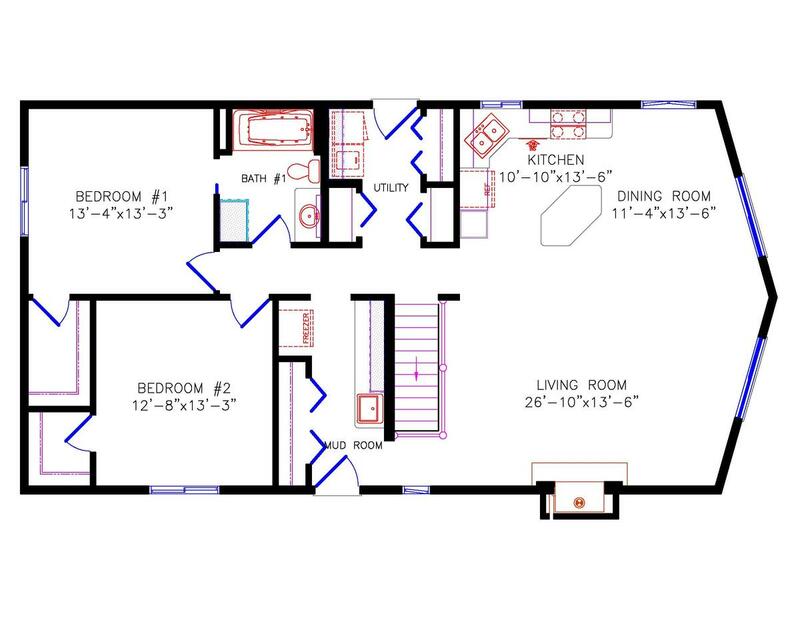 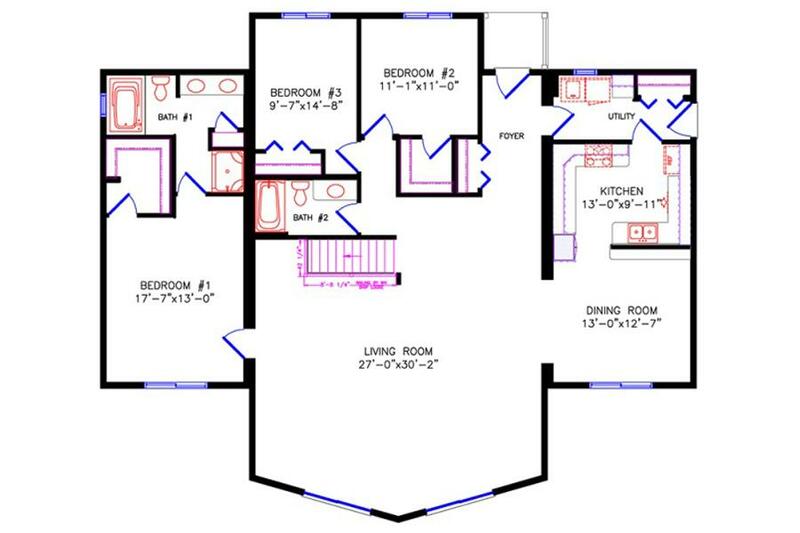 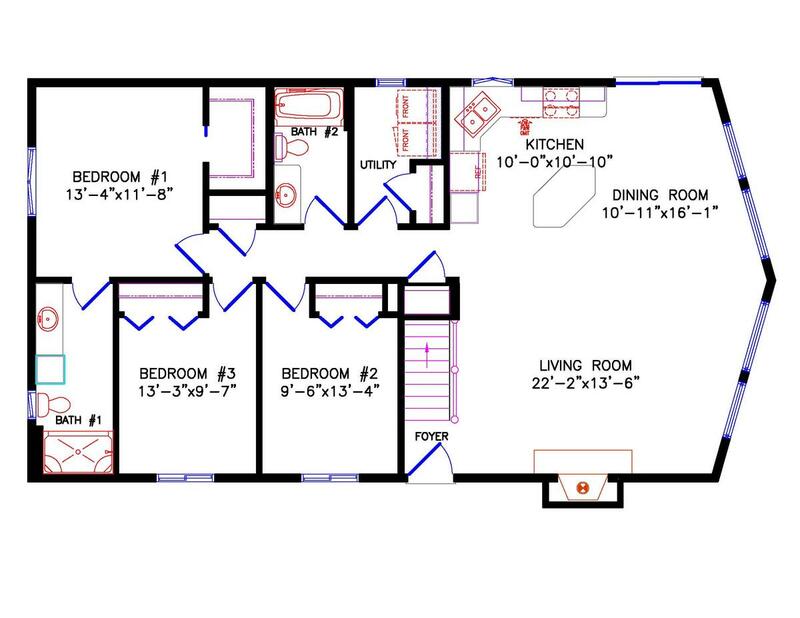 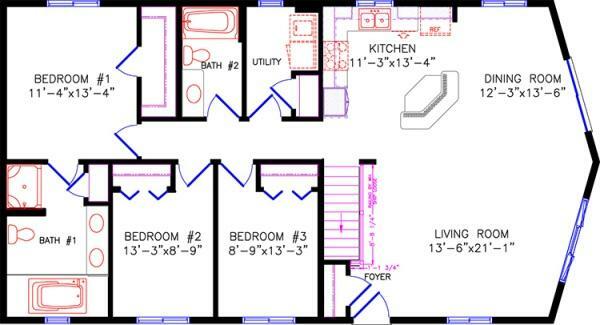 Two generous bedrooms each contain walk-in closets and the master bedroom includes an adjoining 3/4 bath. 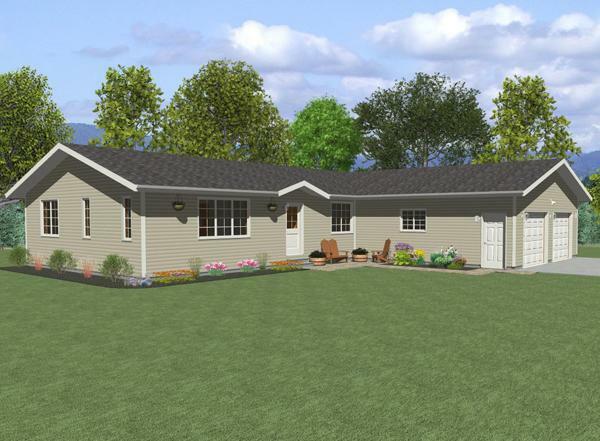 This home invites family to gather and friends to drop by. 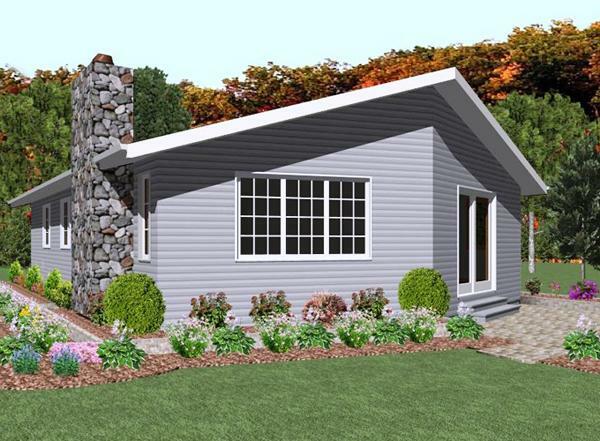 This country cottage home is packed full of dynamic appeal. 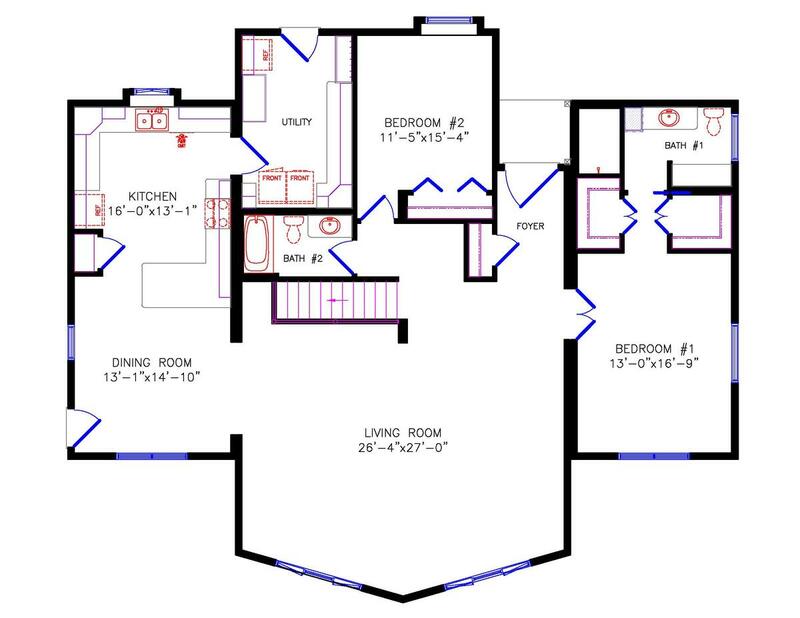 The multifaceted kitchen layout is accented perfectly with an angled stairway. 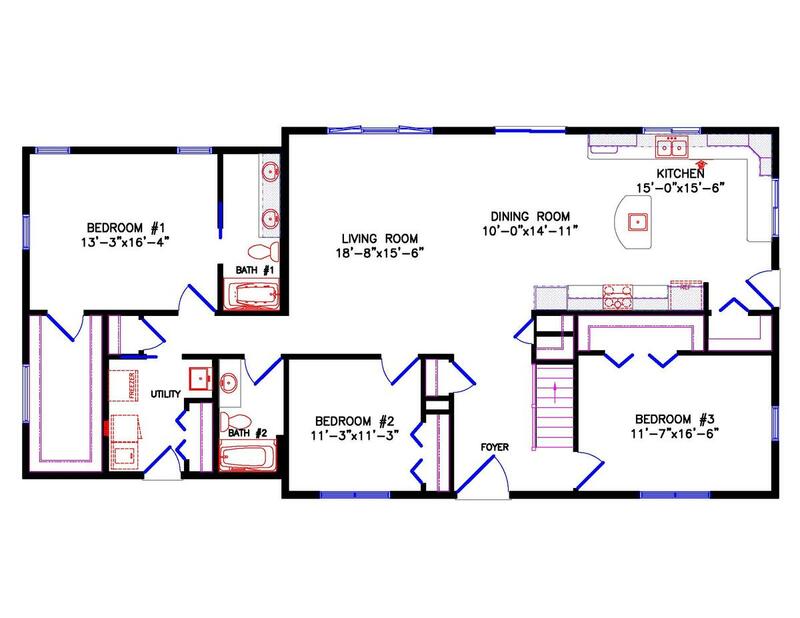 The master bath provides all the amenities expected from a first-rate retreat. 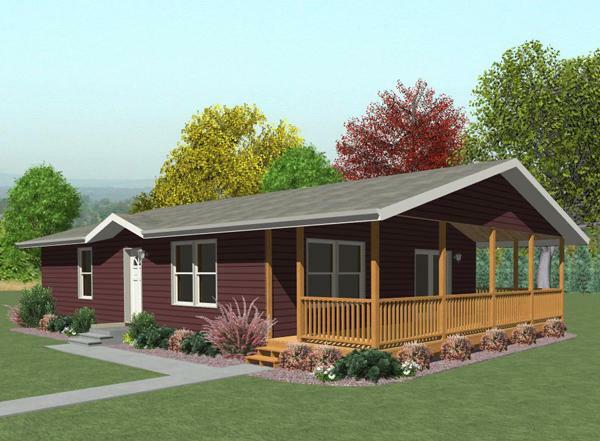 Complimenting this cozy cabin style home are spacious bedrooms, a main-floor laundry, plenty of storage and a large, open living area. 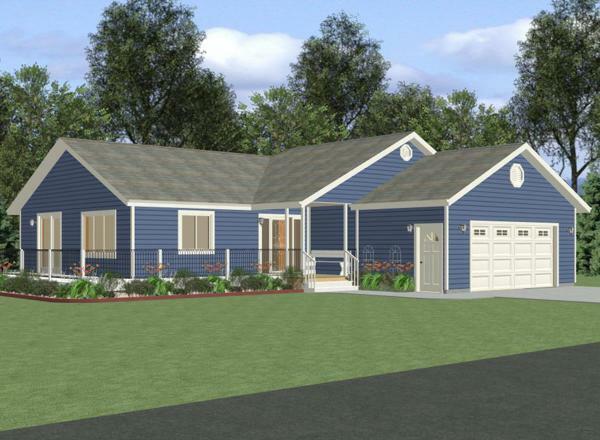 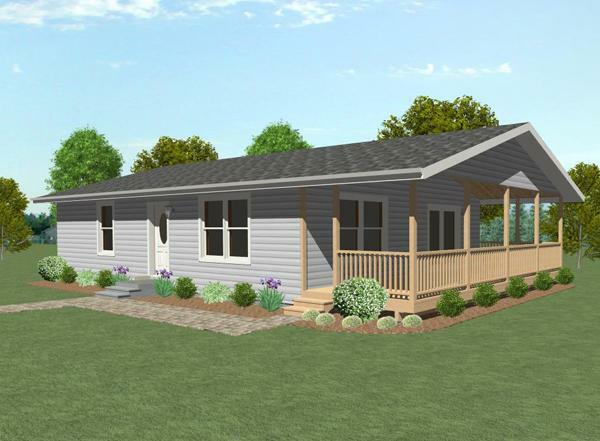 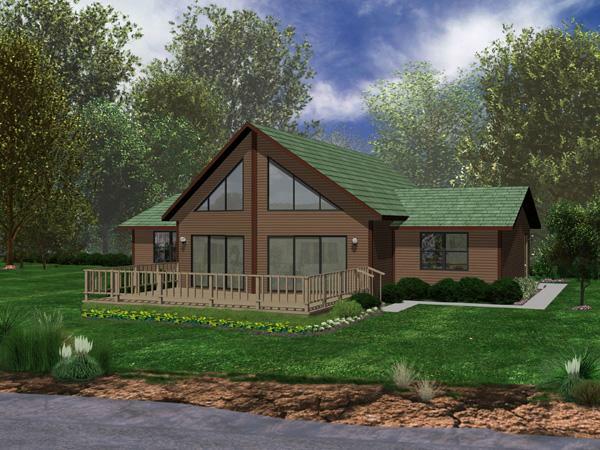 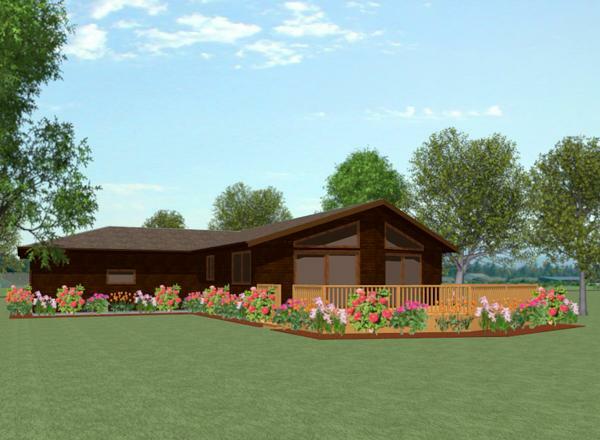 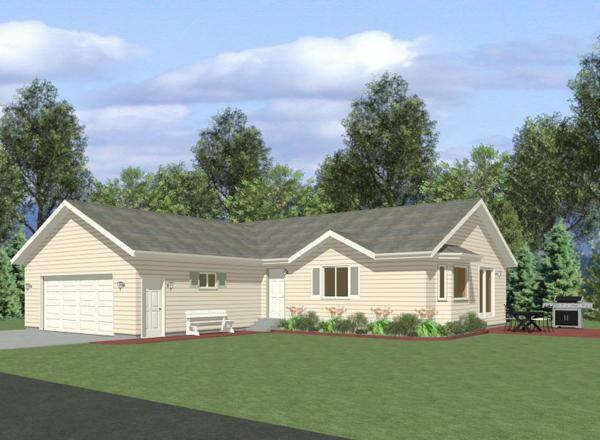 This versatile cottage home is a great choice for any location. 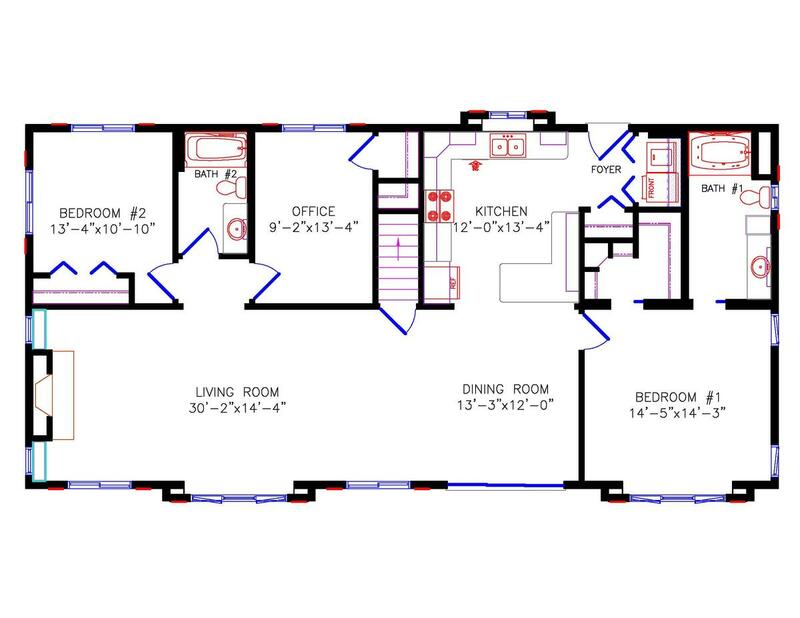 The large, open kitchen has a dynamite snack bar and is integral to the entire living area. 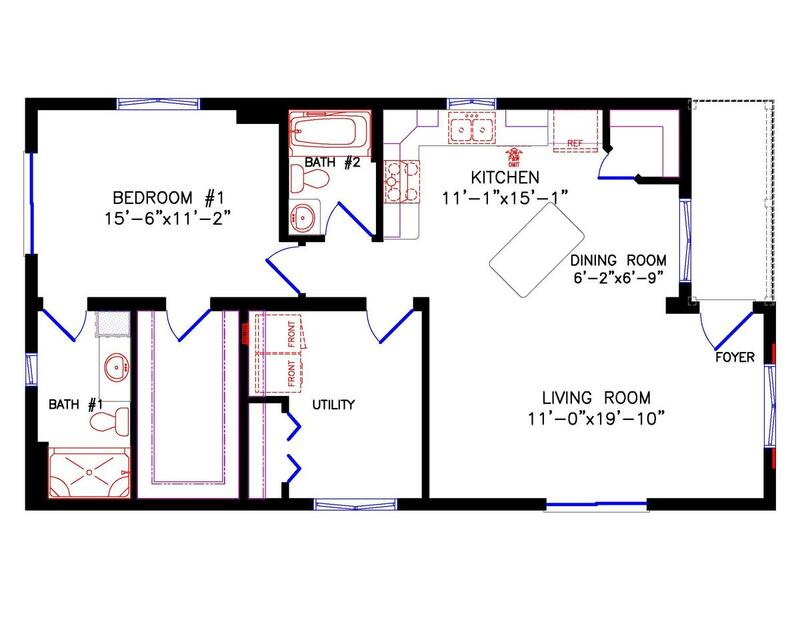 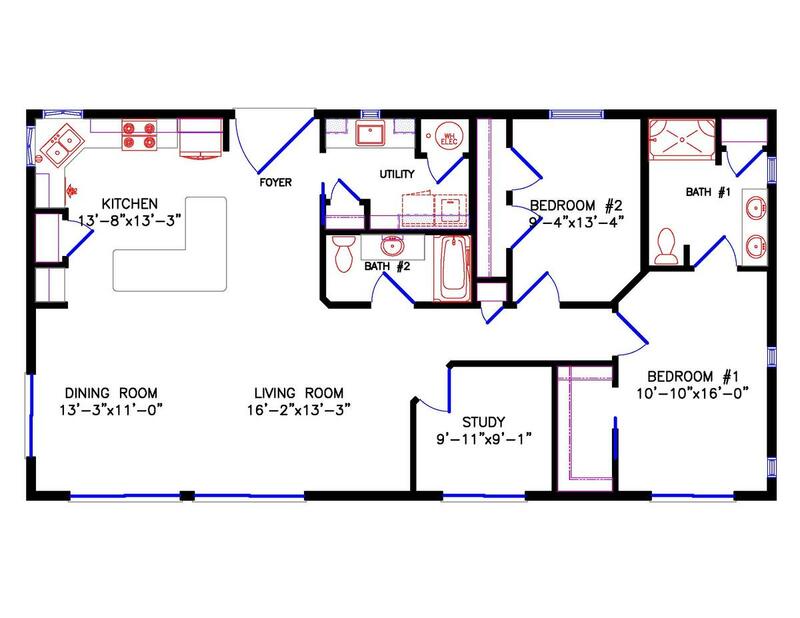 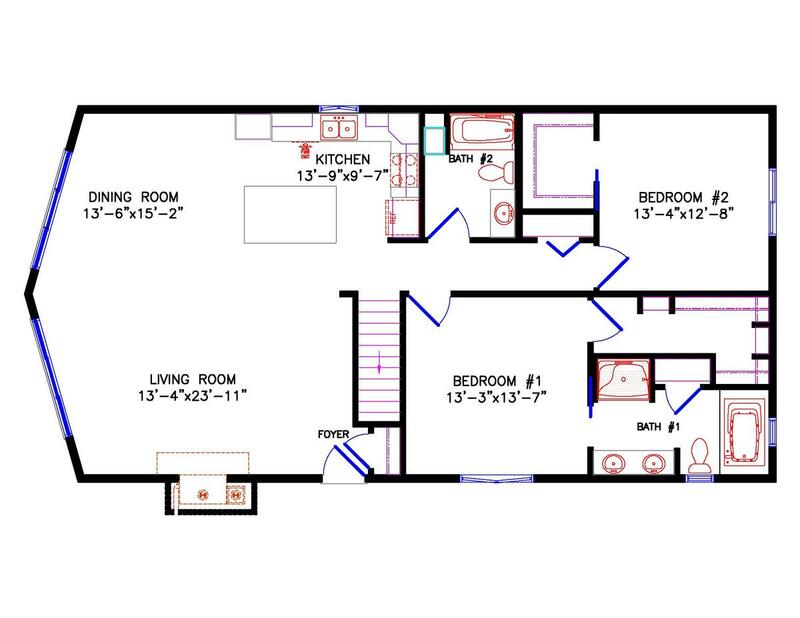 The spacious master bedroom has a big walk-in closet and an amazing private bath. 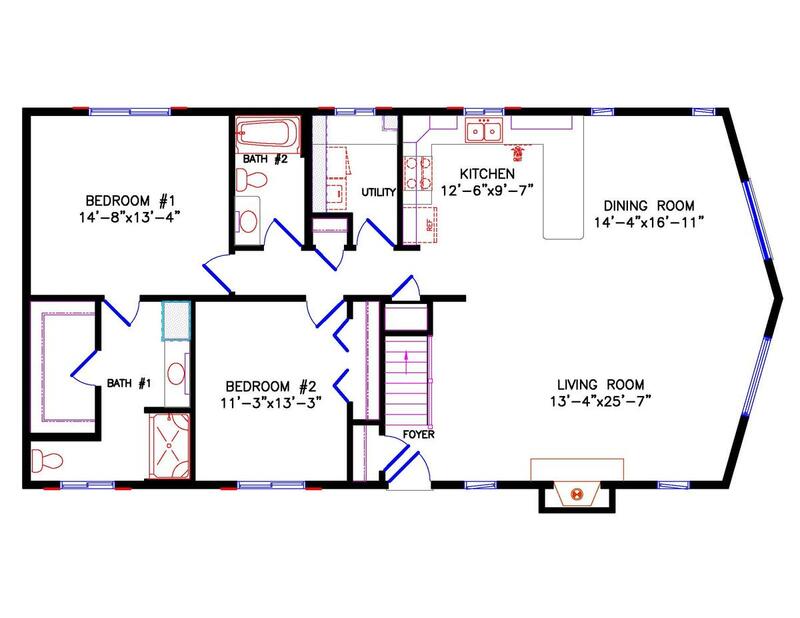 The main bath, basement stairs and utility area are all ideally located near the rear entry. 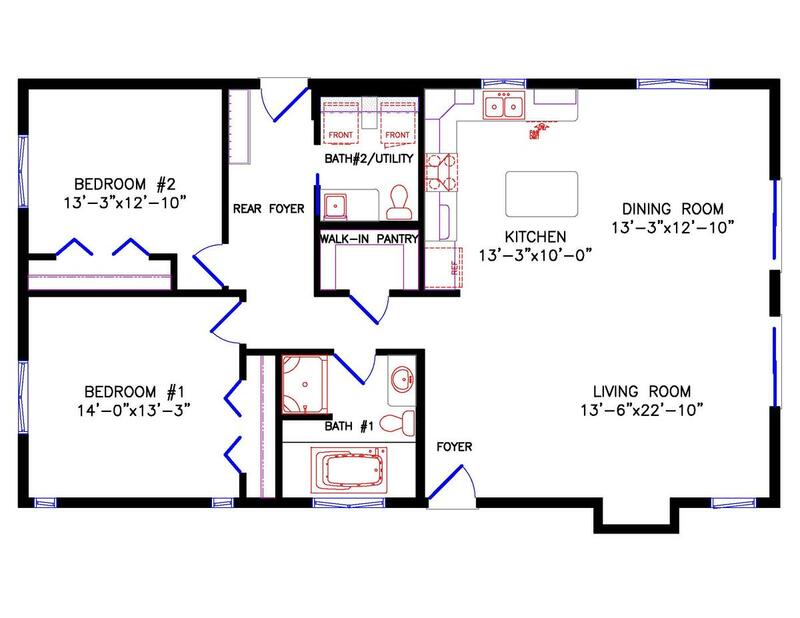 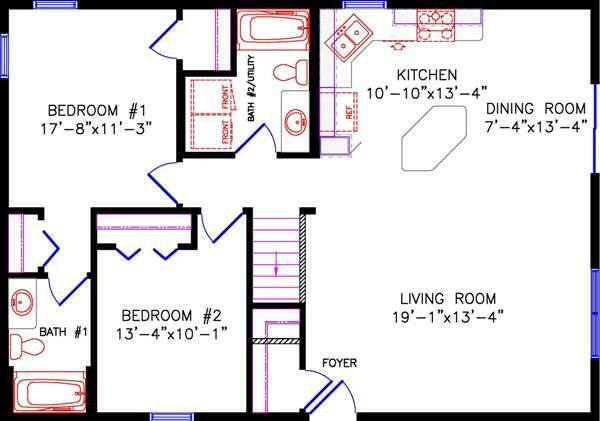 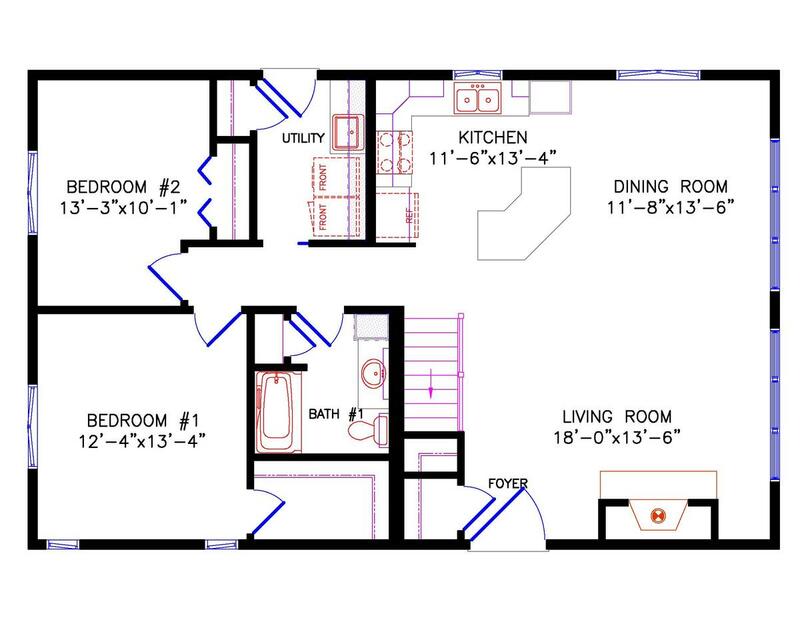 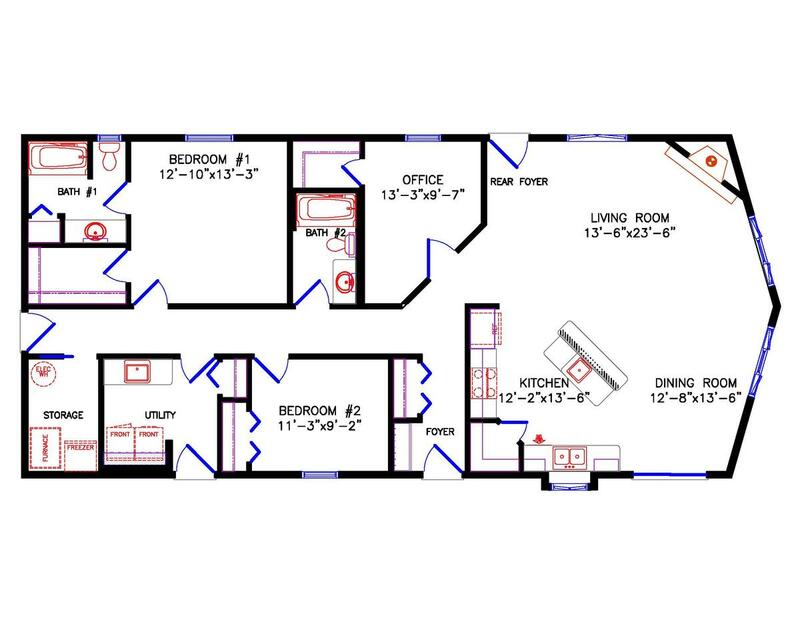 Join your family in a spacious living area where you can cook, dine, and relax together. 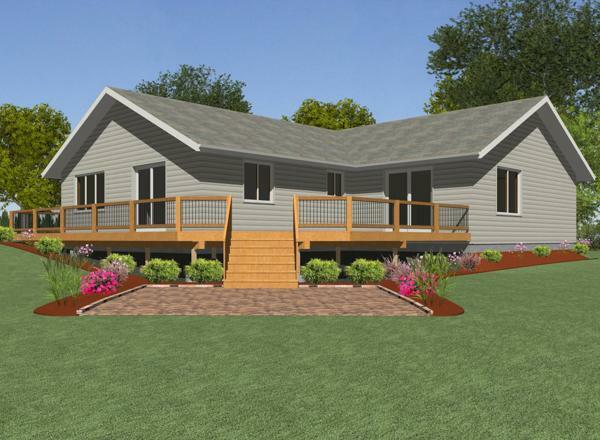 Or wander through the patio doors to congregate on your covered deck. 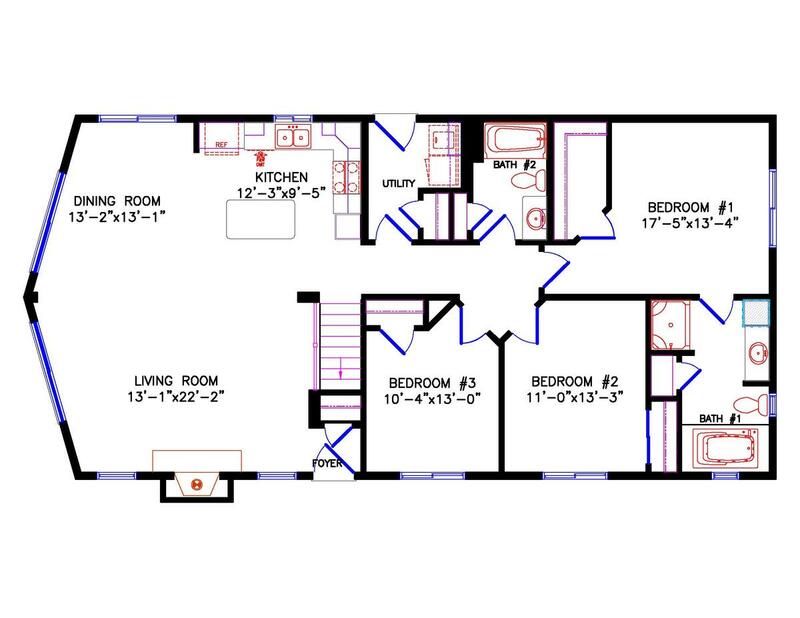 If it's privacy you crave, retreat into one of the three generous bedrooms, with spacious closets. 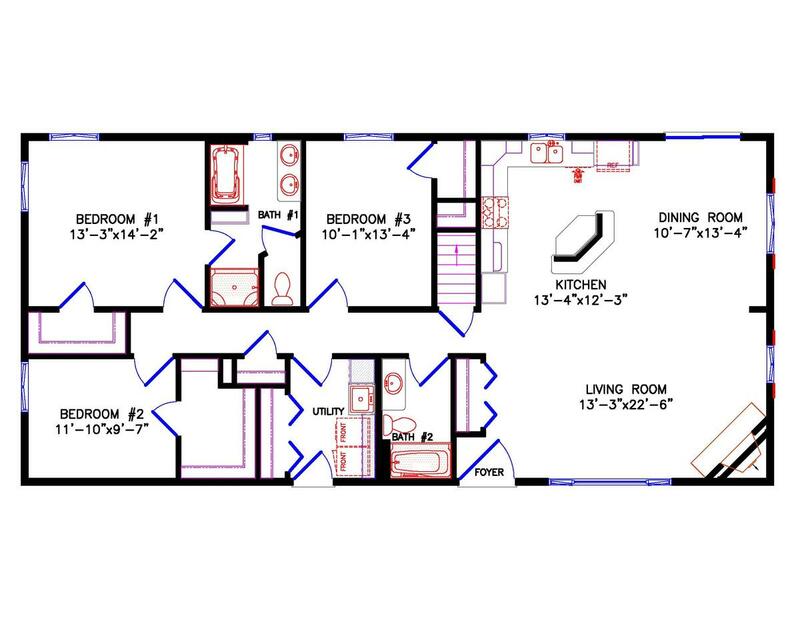 You'll find quality amenities throughout-from oak cabinets to two full baths. 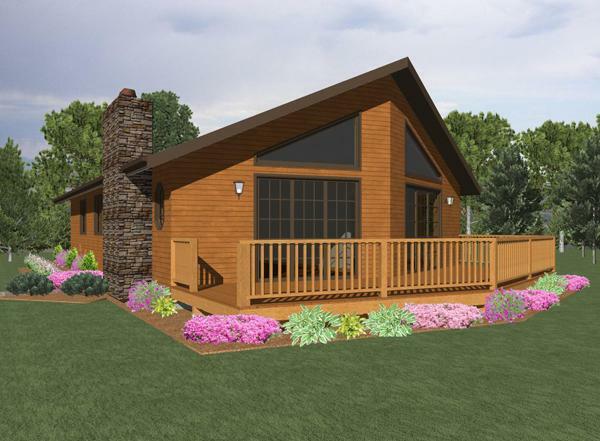 This Lakewood's combination of practicality and charm is the right fit for you. 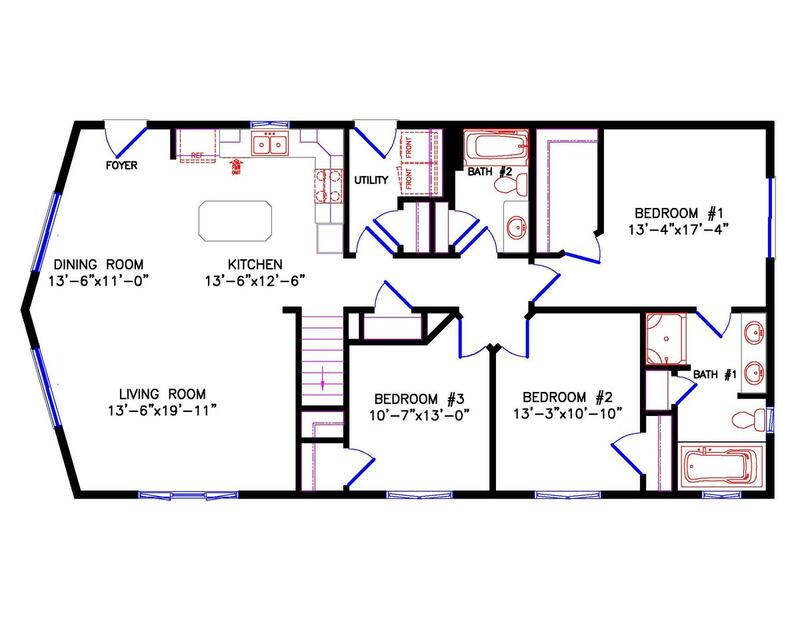 This cozy Cavalier packs a big punch, with its two sizable bedrooms and walk-in entry closet. 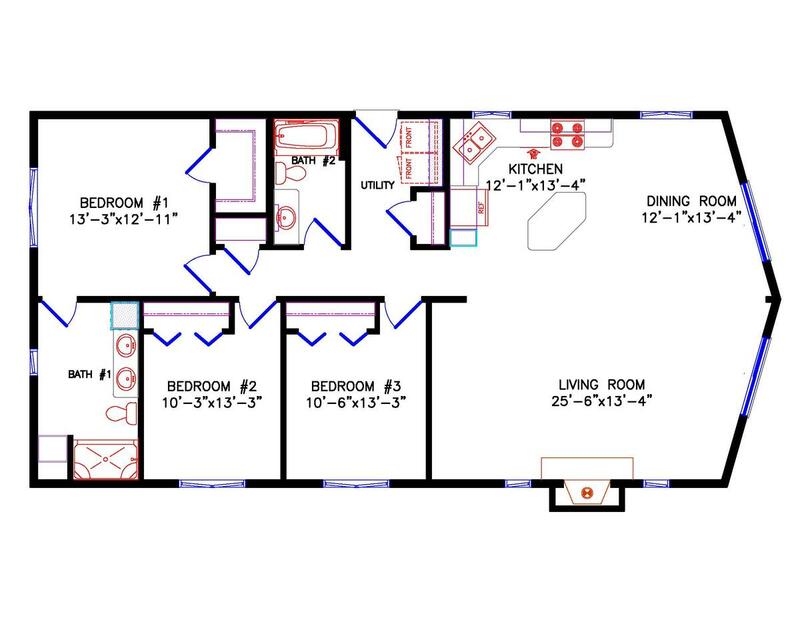 The main floor laundry is combined with an easily accessible main bathroom. 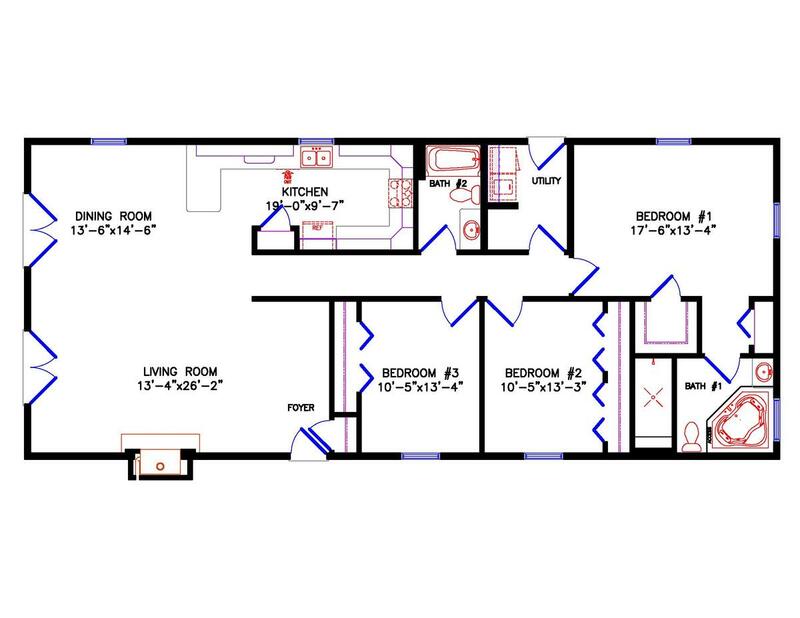 The master bedroom possesses two closets and a fine master bath. 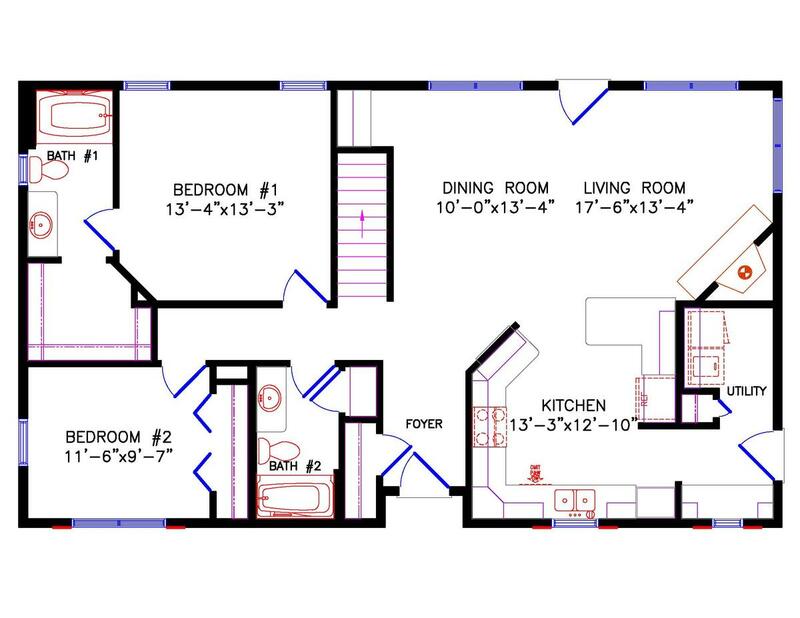 The kitchen is perfect for entertaining with its island that overlooks an open concept living room and dining area.